This real estate listing is going to be a work in progress, please check back for updates. We've adopted the name Shermantown because of this old map. Disclaimer - this above map was hastily drawn up 140 years ago to encourage investment and has no actual legal bearing on the 160 acres we are selling. 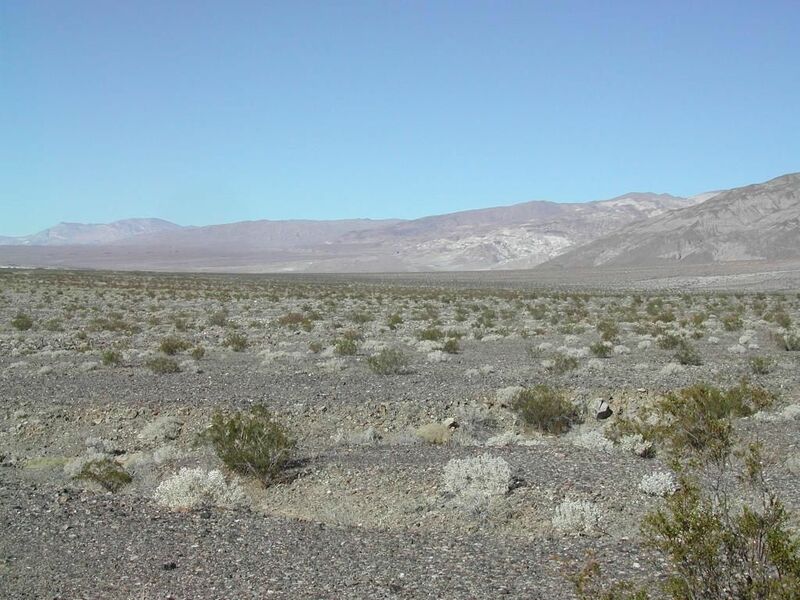 Private land in Panamint Valley is an oddity and should not be overlooked by anyone who has an interest in land ownership. 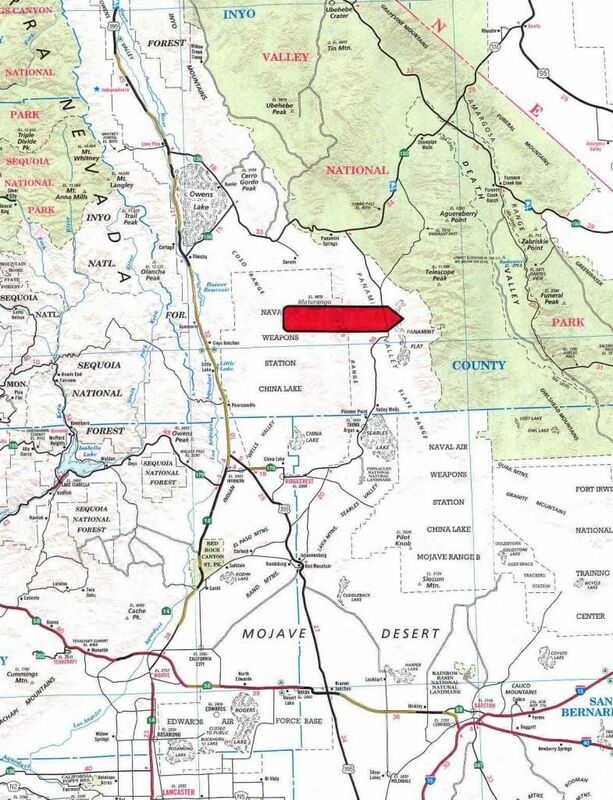 I believe there are two other parcels plus an Indian reservation, and that's it except for Panamint Springs Resort. Below is the BLM map that shows land ownership by color. White is private land. 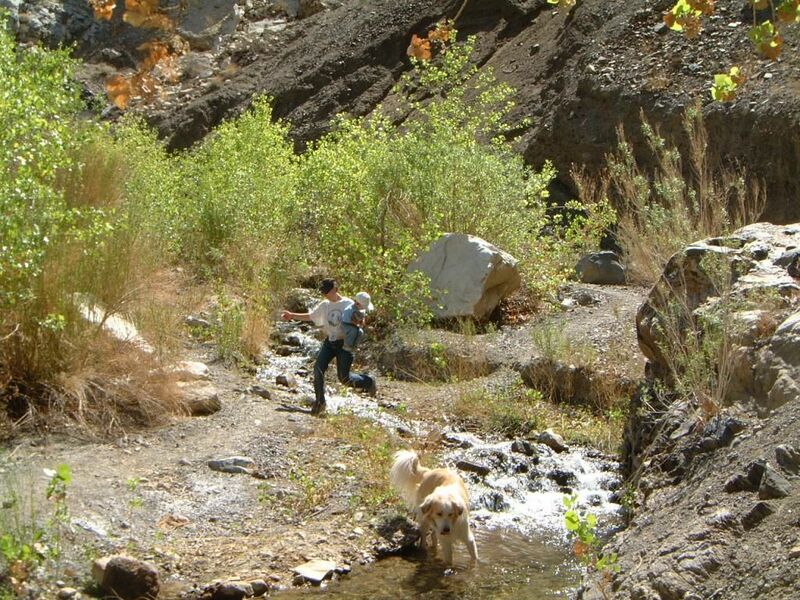 You may notice how the Surprise Canyon wilderness overlays our private land on the southern edge. 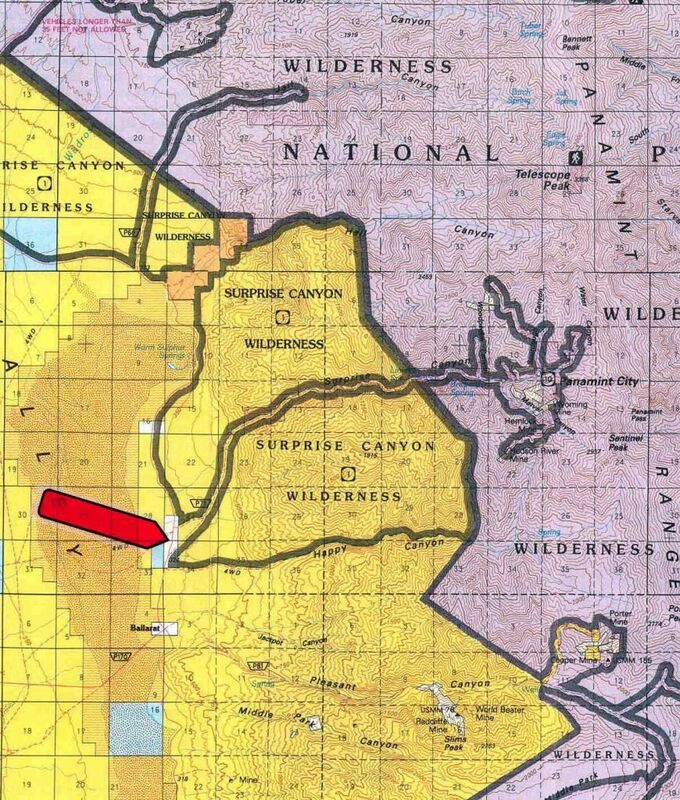 This is not a mapping error, but a wilderness overlay that was enacted mistakenly by the U.S. congress. 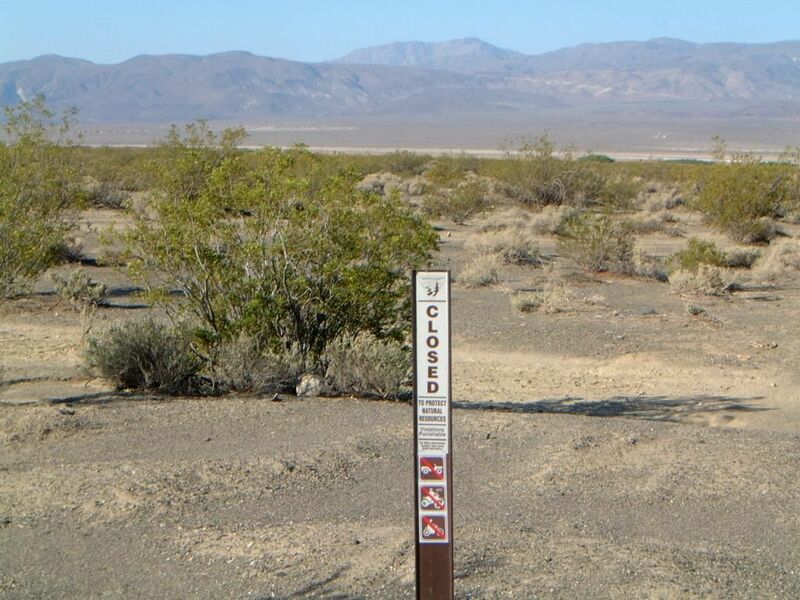 Obviously this confuses folks when they put wilderness boundary signs on private land, some land managers don't know whether to follow wilderness rules or respect private property rights. 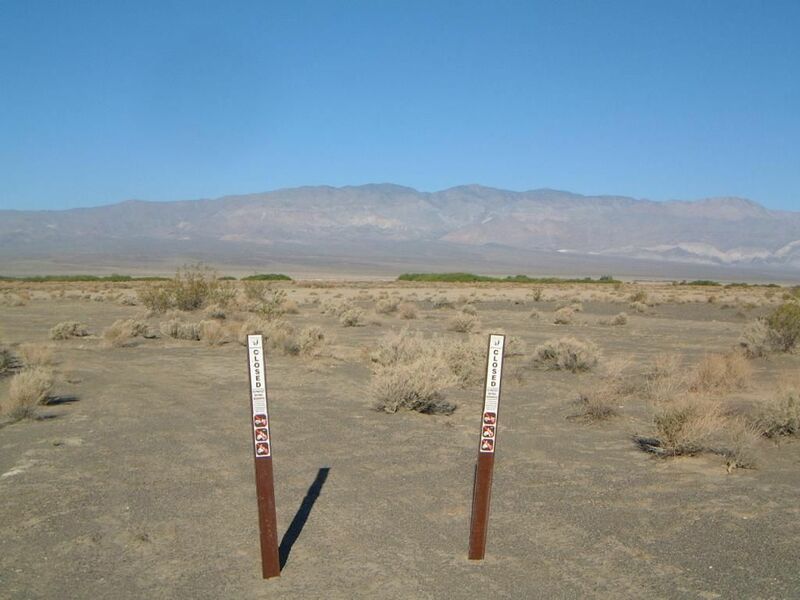 I often have to set them straight and let them know that private land trumps wilderness overlays. 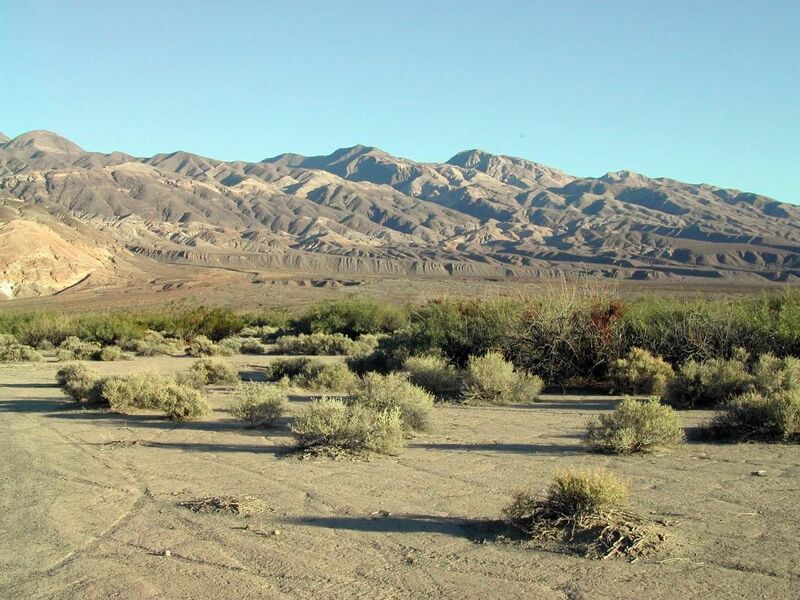 Fortunately, this property has legal access granted by the county of Inyo via Indian Ranch Road, if it was wilderness locked then it could very well turn into de facto wilderness. It happens. The good news is this property offers something for everyone. Wilderness lovers and wilderness skeptics. 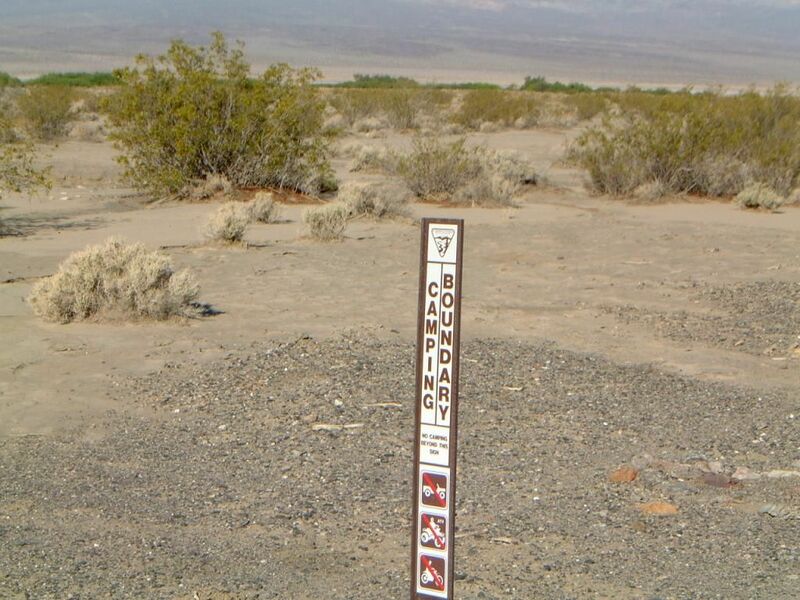 All four corners have been surveyed courtesy of the BLM. When you have a private in-holding, they like to keep everyone honest and mark the corners so all parties understand where they are. Even so, future mistakes can happen as I'll get to later. 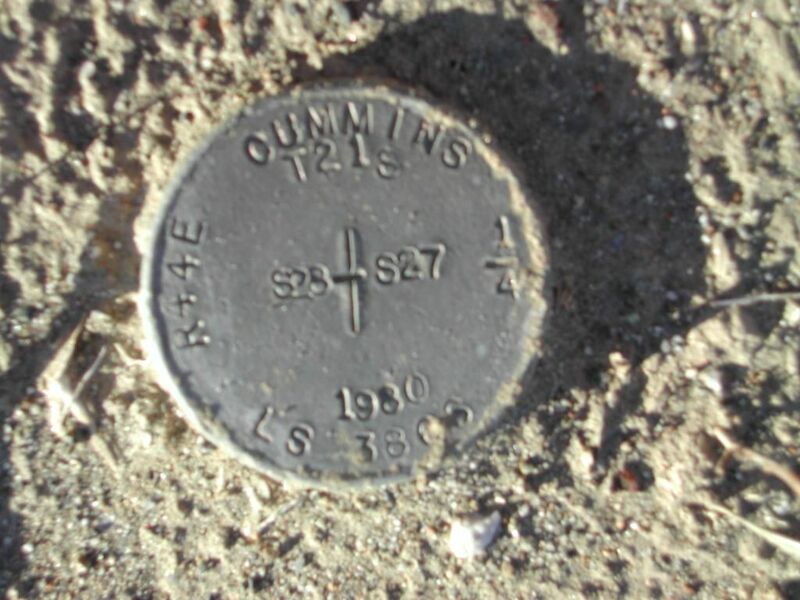 Notice on the stamp, Cummins - he was the past owner who bought this land in 1965 for $25,000. 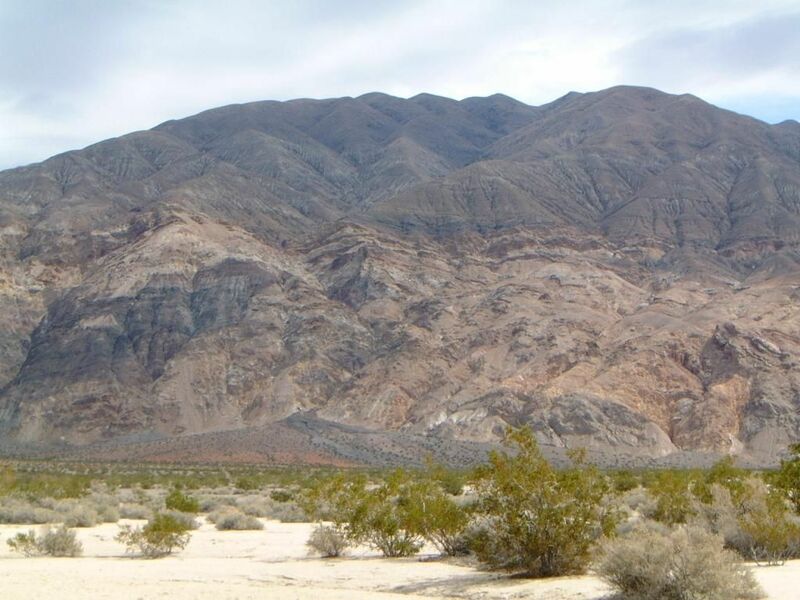 He had a vision of Panamint Valley being the next Palm Springs. This is the SW corner, in wilderness. Same corner, just a few steps back. 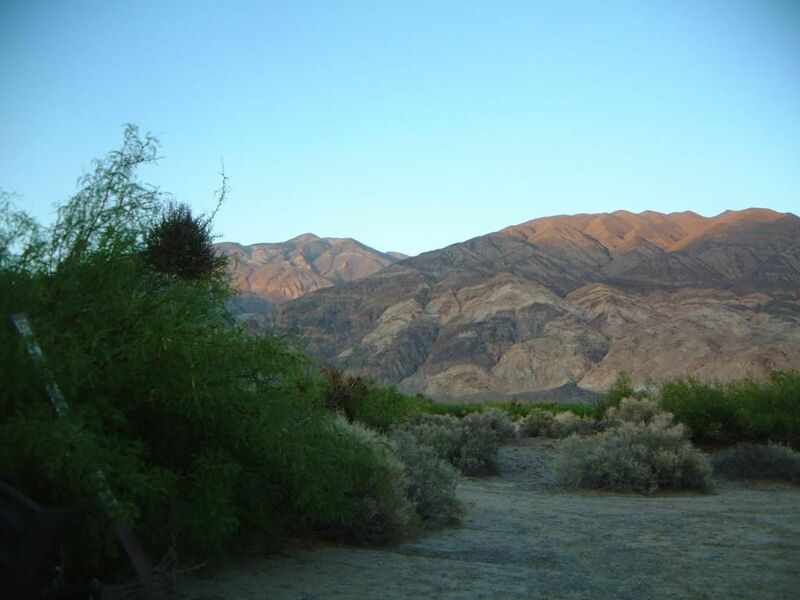 This portion of the property, is uneventful but offers full valley views and has a few nice campsites, rocks galore, even a few ancient circular rock formations, and is accessed by way of the Happy Canyon jeep trail. 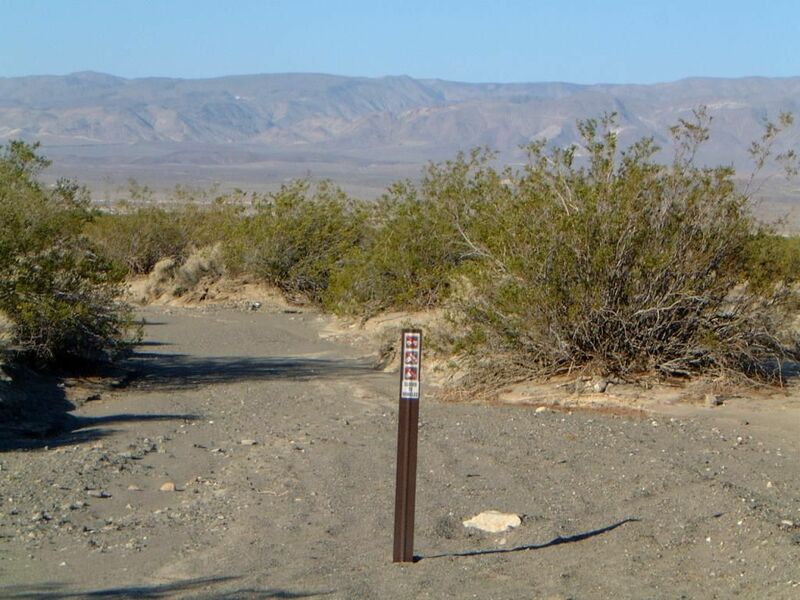 The jeep trail skirts the southern boundary of the property to it's easy to find the survey marker. 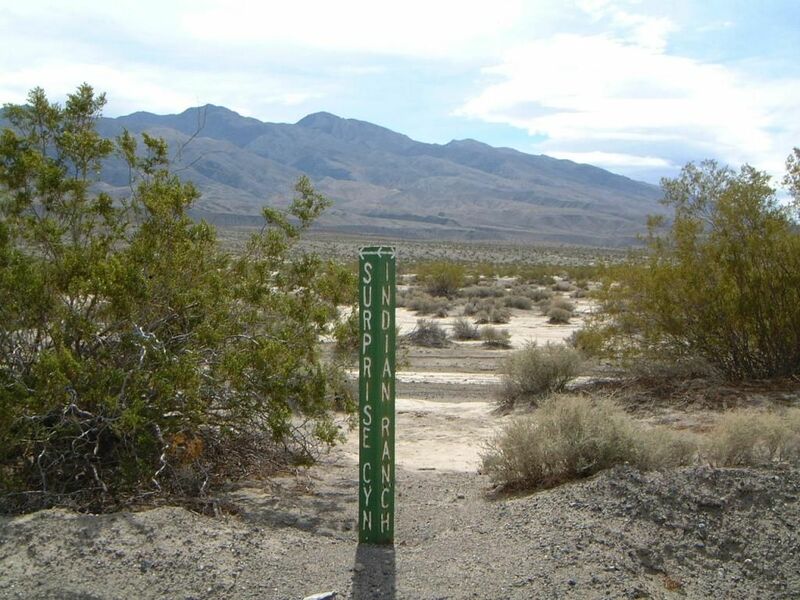 Turn off Indian Ranch road and head up, at 1/4 mile keep your eyes open for the survey pipe and rock pile. 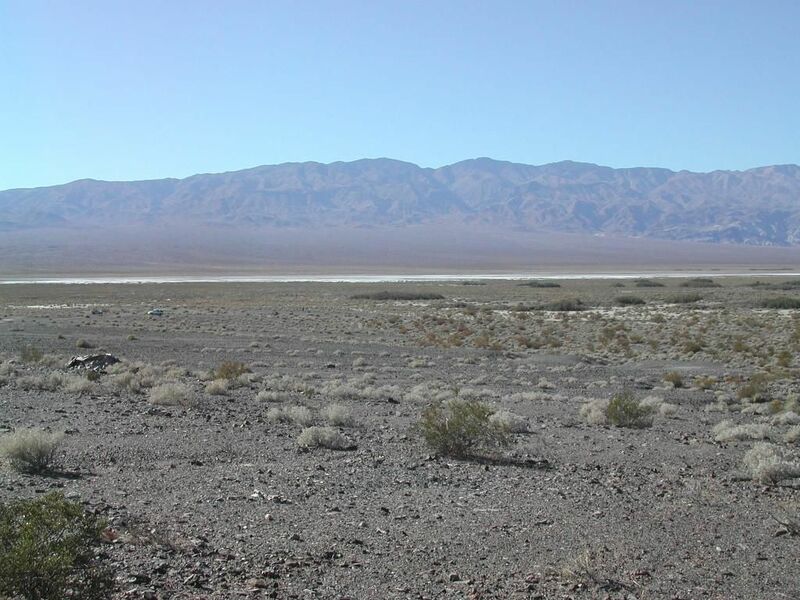 Near the NE corner looking at the Panamints. Plenty of mesquite trees, Rocky's dad George (I'll introduce them later), always told us that this is the area for water as mesquite trees require it. 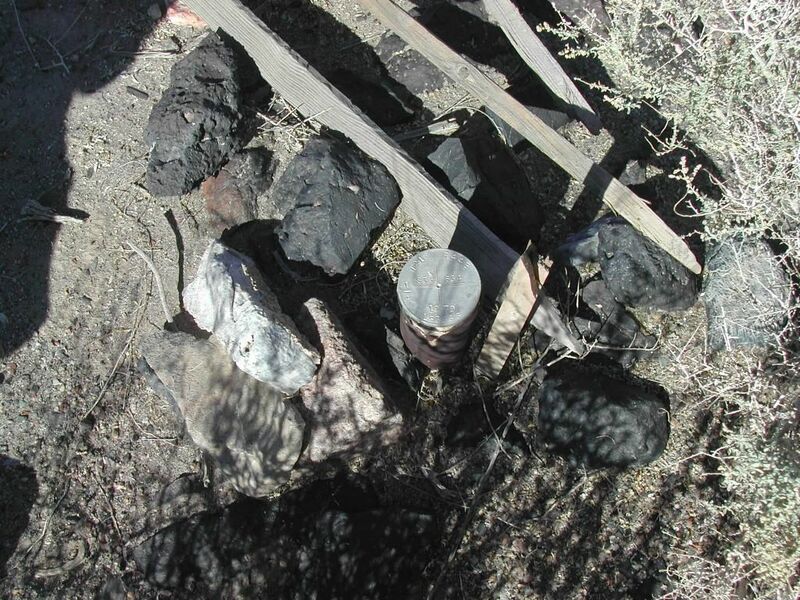 Although in this photo they don't look it, they are quite large, and there is plenty of dead downed wood for campfires. 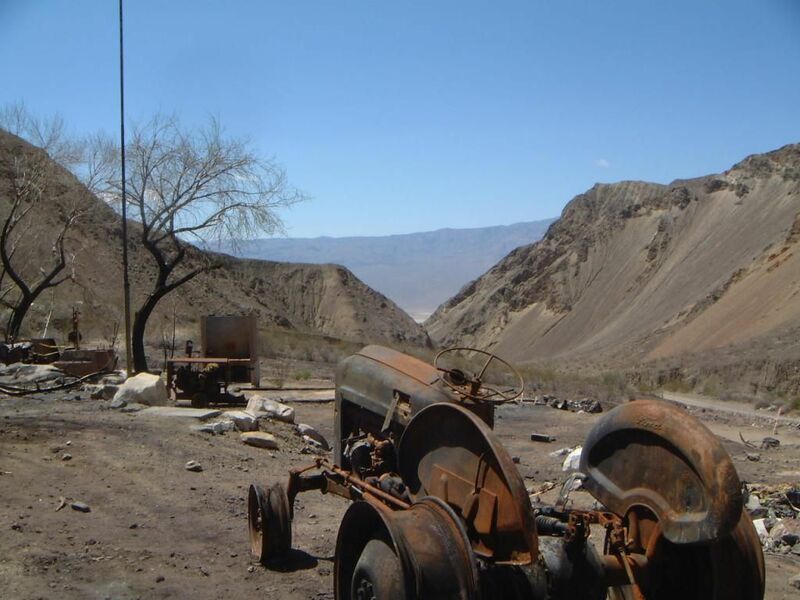 Back story: Our family buys land primarily in Inyo and Mono counties, and a lot of it. 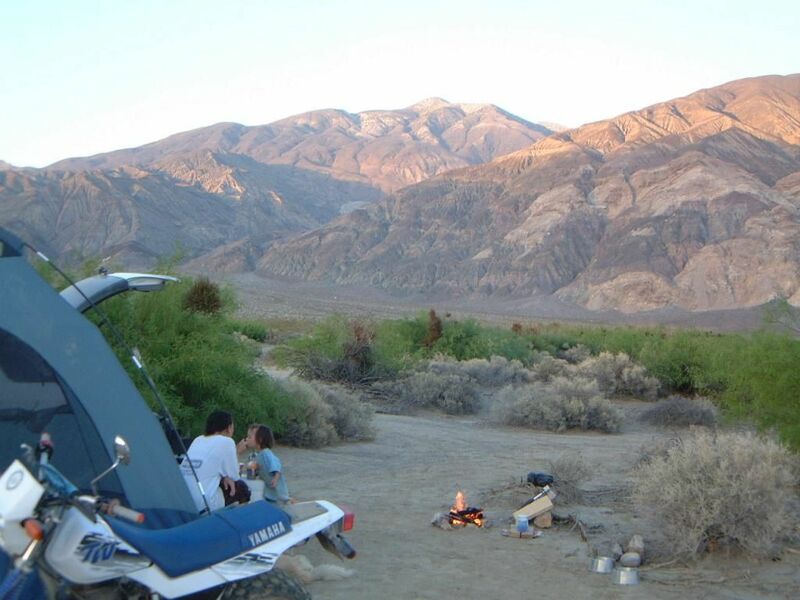 We live in the snow for half the year and really enjoy desert camping. 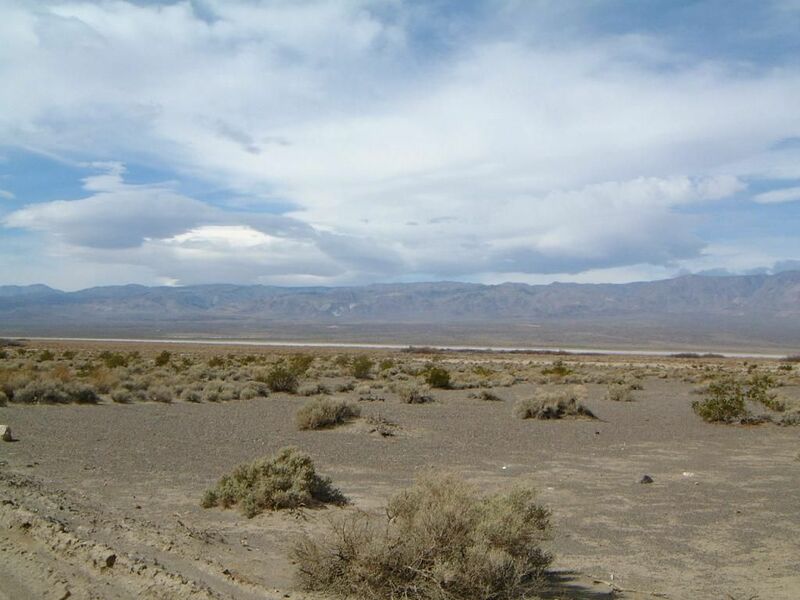 At the time this property offered many possibilities: an easy drive from home in the eastern sierra, wide open ownership, access to several off-road canyons, Death Valley adjacent, option to parcel off into four 40 acre plots, a chance to bank a lot of land - only 1.7% of land in this county is privately owned, plus our favorite - building a rustic RV resort and town. A fair amount of time was also spent seeing which public agency was interested in a trade. 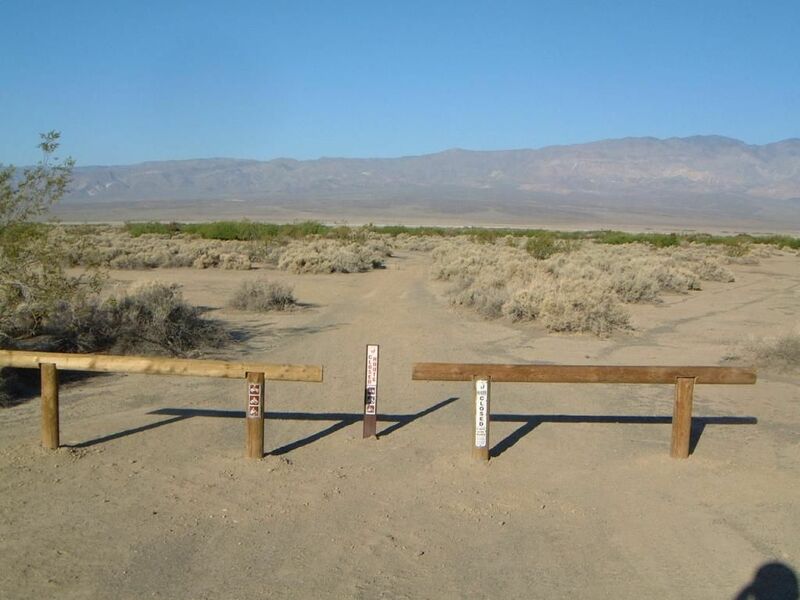 The BLM was, but their efforts were only as good as the person running the show, halfway through he left for a better job and the remaining employees were apathetic at best. 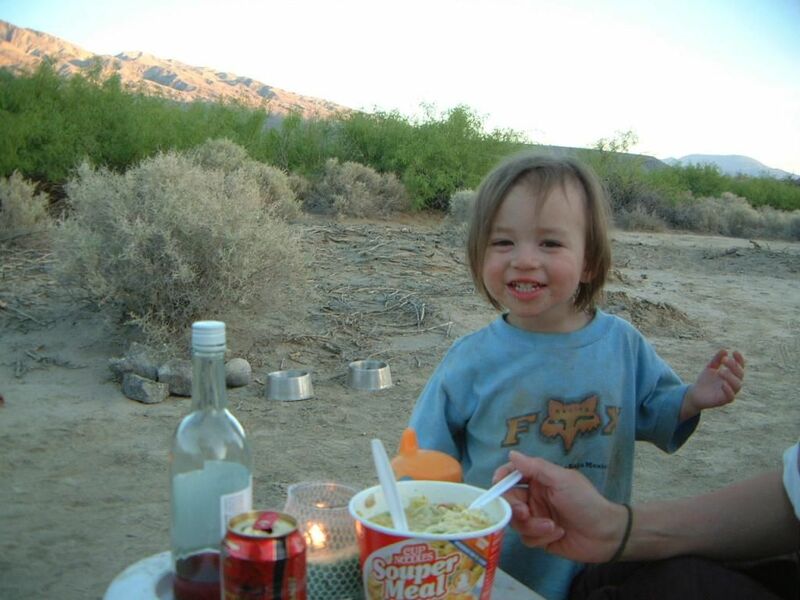 We spent a lot of time camping, exploring, hiking, dirt biking, and just walking the land. 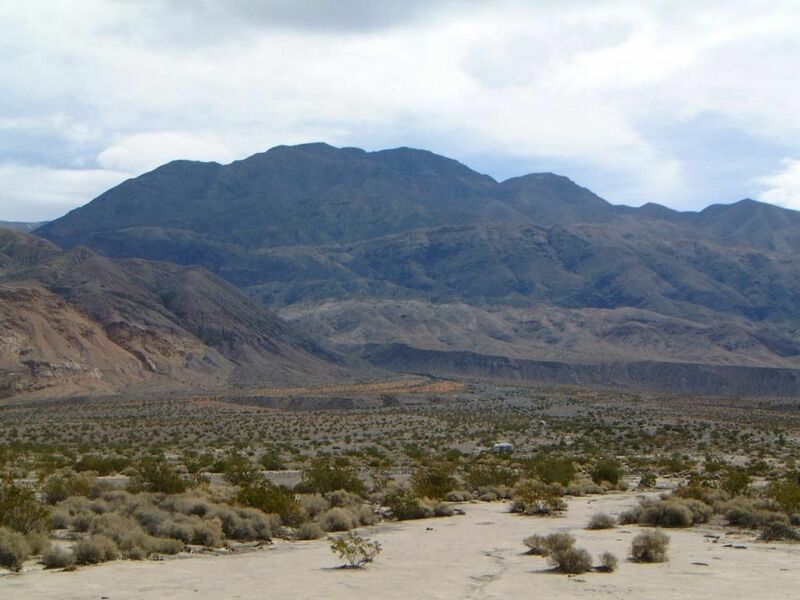 Trona worked fine as a resupply spot but Ridgecrest was even better and we discovered some great gems in that town too. 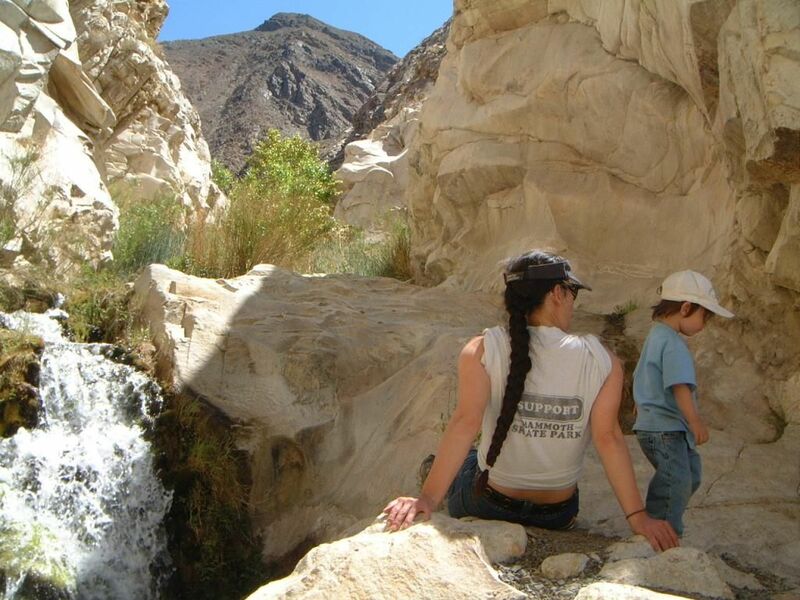 When I think of Ridgecrest the following comes to mind: $2 showers at the fair grounds, Maturango museum, gem and mineral show, Miso Sushi, lunch buffet at La Fiesta, etc. 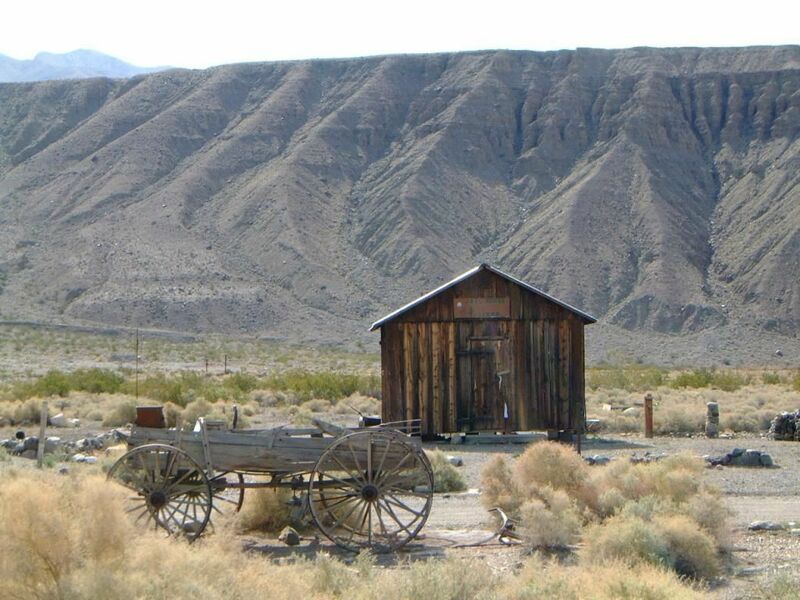 In Trona the public library was great, Pinnacles, Great Falls, and the ranch (we almost bought) fed by Bainter spring out on Kings Ranch road. 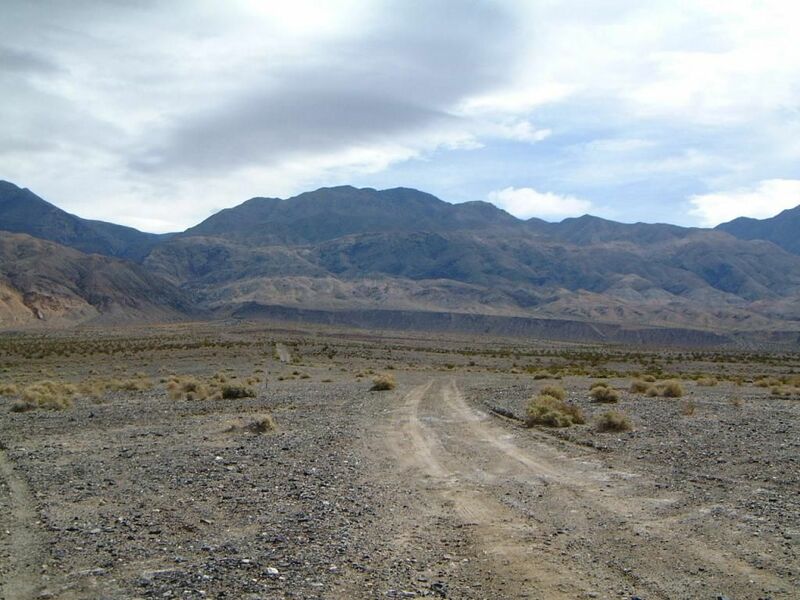 Anyhow, time goes on and we don't get out to Panamint Valley as much as before. All of our free time now is spent snowboarding on Mammoth Mountain, training for competition, traveling for competition - with great results. We live at the main lodge during the winter and we are supportive on the land exchange that the ski area is attempting so they can modernize. 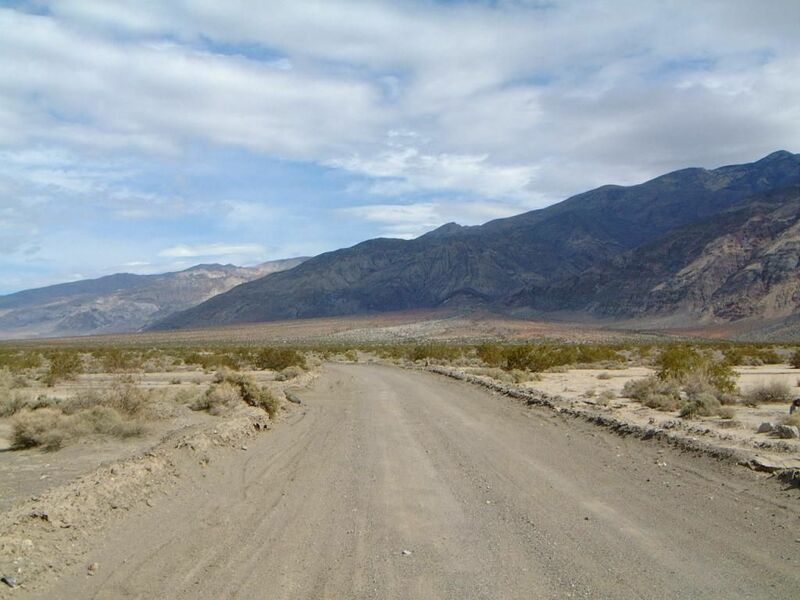 Below is Indian Ranch Road, it cuts through the property lengthwise and can be characterized as a dirt highway. 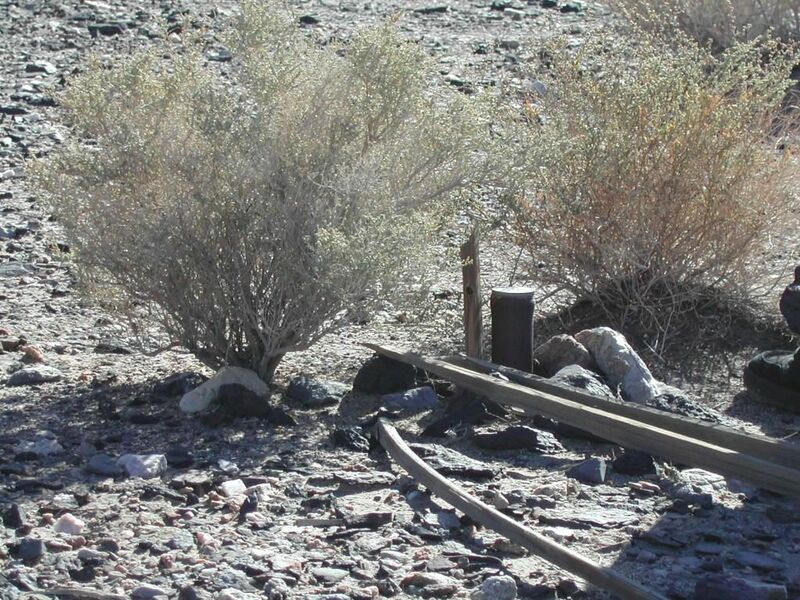 Inyo County does a nice job keeping it maintained and preserving access. Standing on the land the mountain views never get old. Our old Jimmy parked on Indian Ranch road. 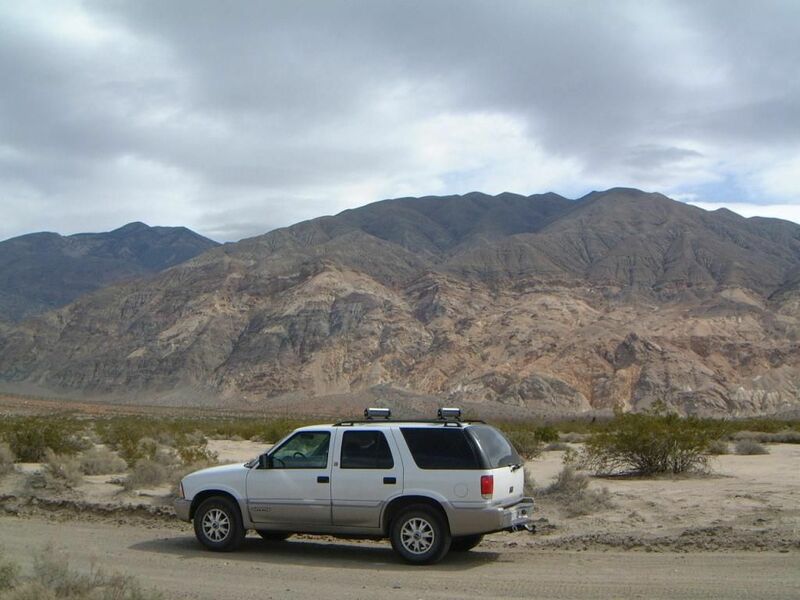 Good SUV until it gave up on us (in 2012) during a working/camping spring break in Inyokern -- on the way up to Kennedy Meadows! 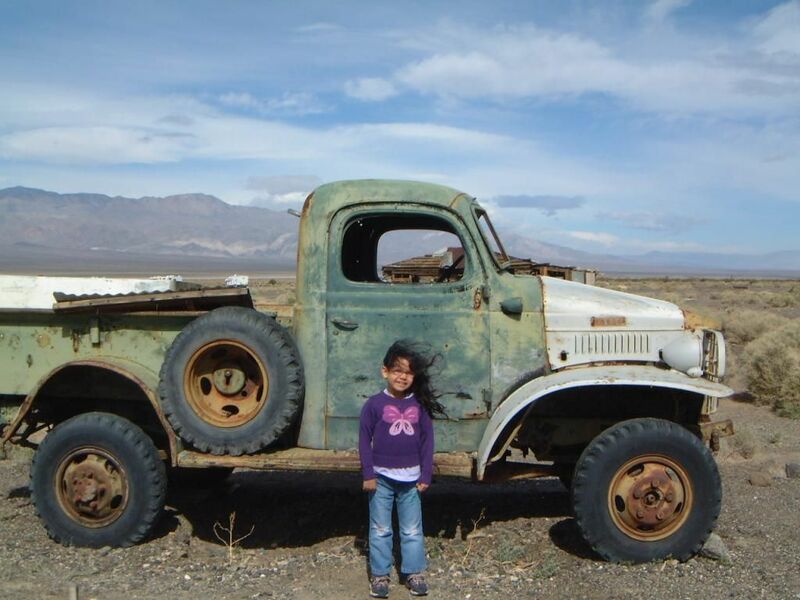 It's still out there in the desert with a full tank of gas. 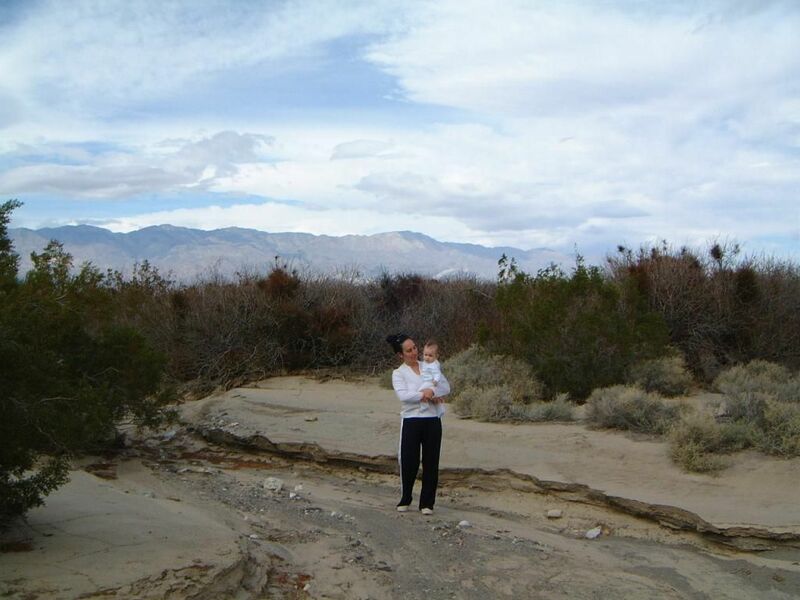 Checking out a dry stream bed, nothing like baby pictures to remind us of the passage of time. 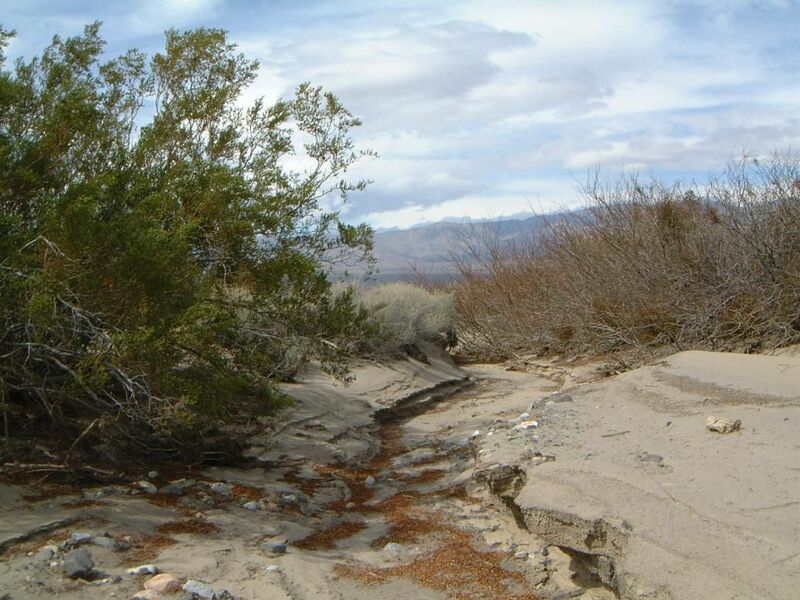 When cloudbursts strike in the Panamints water will flow over this property on the lower portions. 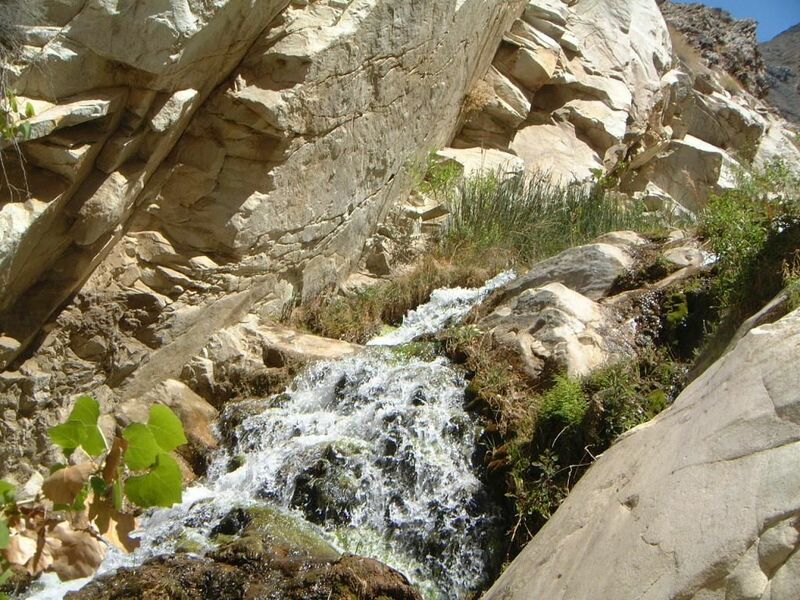 Surprise Canyon holds year round water which flows underground to this property. 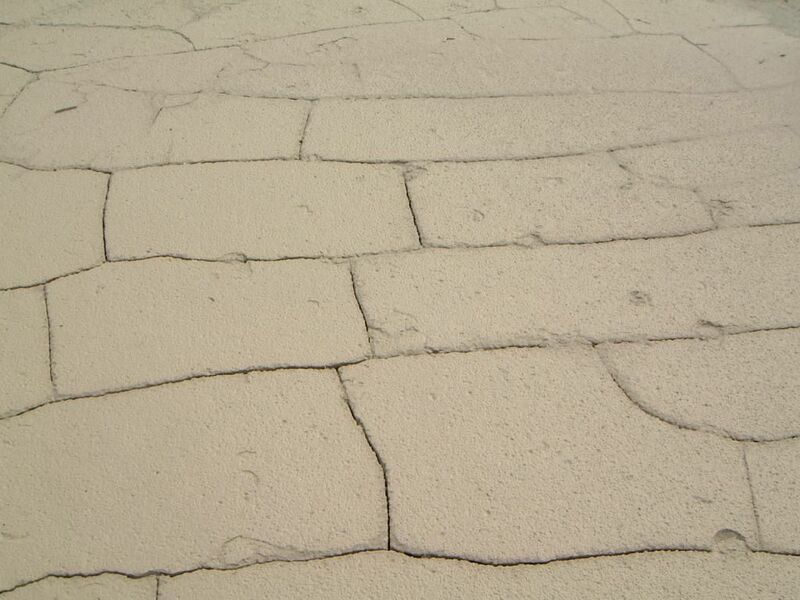 Dry stream bed. 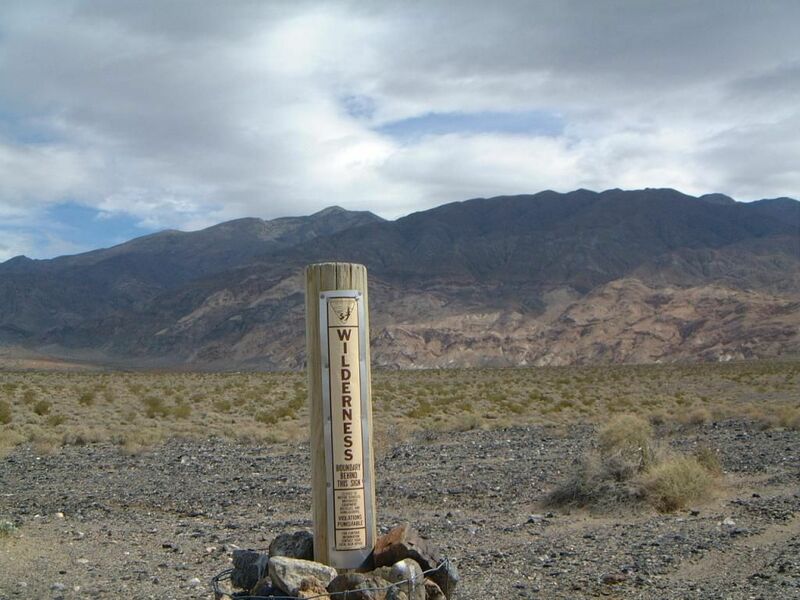 In this one I found a wilderness sign washed down from above and claimed it as a souvenir. All sorts of vegetation on the property. 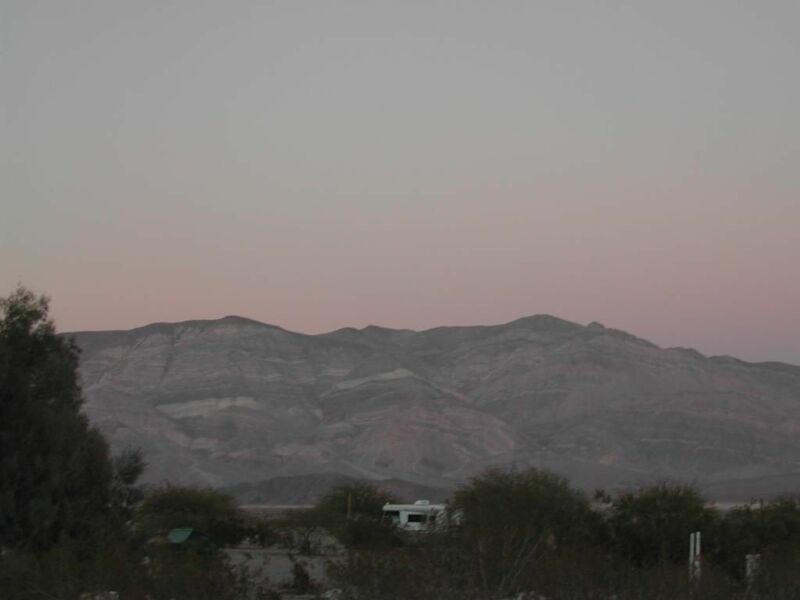 Argus Range also looms tall over the mesquite forest. 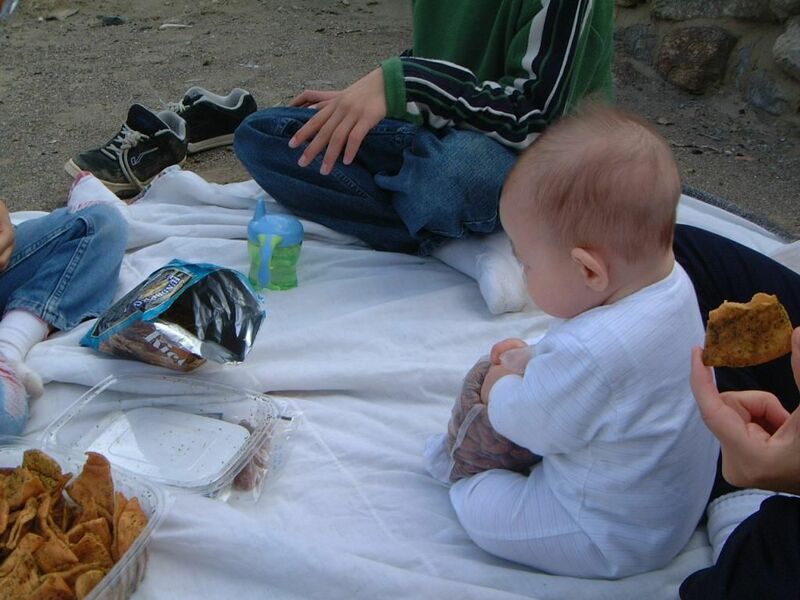 Kids exploring the land. Mouth of Surprise canyon to the left. 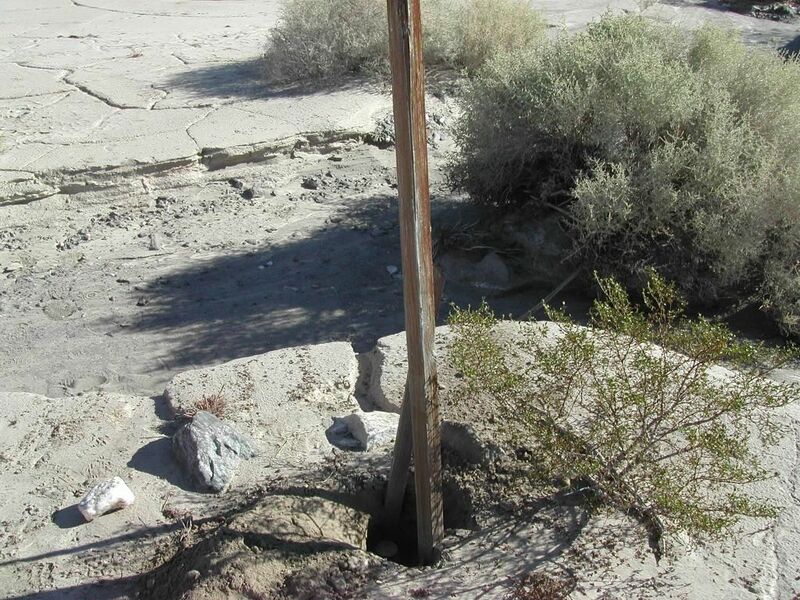 On a portion of Indian Ranch road Inyo County installed a culvert where winter run-off is common. You can notice a huge well that was sunk on the other side of the road. Looking up towards Happy Canyon. Indian Ranch road headed north through property. 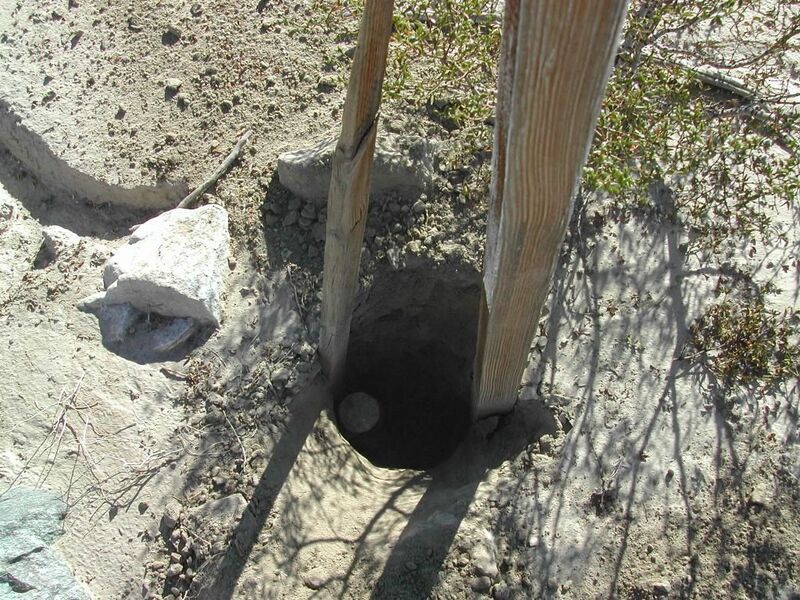 Wilderness post on property. FYI, all the uses shown outlawed are actually permitted. Hang gliding too, but it has to get gusty for that. Happy Canyon jeep trail heading up from Indian Ranch road. Close up on wilderness signage. 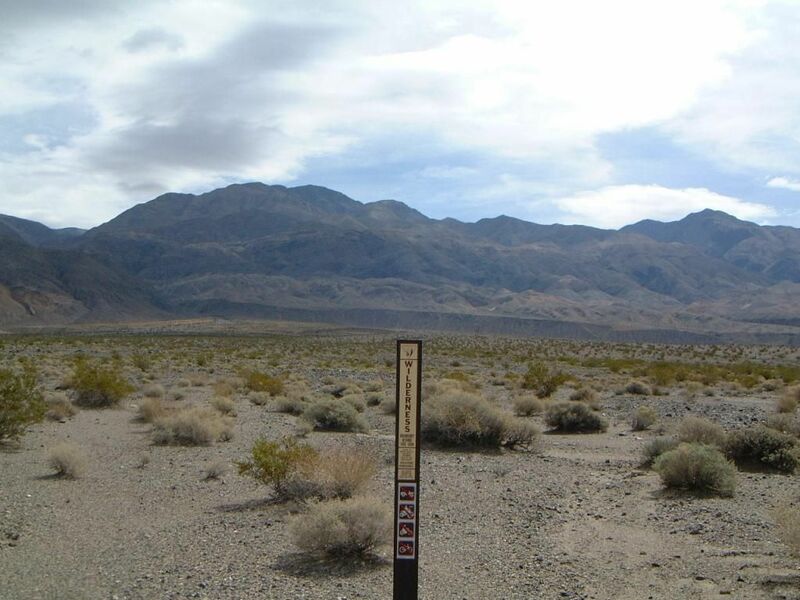 By the way, the BLM office in Ridgecrest said they'd remove all their signage upon request, but it might encourage trespass on our property! We're leaving it to the new owners to decide what to do. Wilderness signs are still up. About a mile or so south is the town of Ballarat. Shown is the jail. The caretaker of Ballarat likes to tell a tale of this truck being owned by a murderous band of hippies. Very true, but sometimes it's safer to remain in your vehicle especially during the hot summer months. 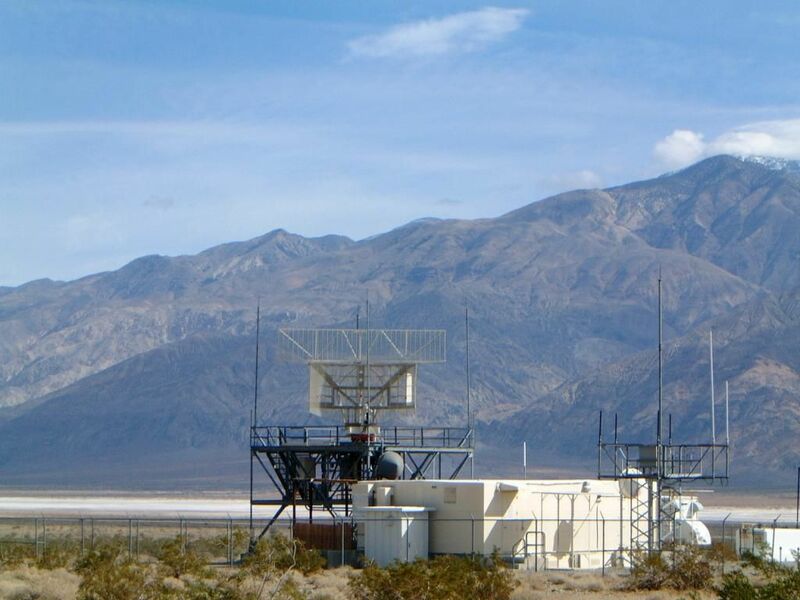 Panamint Valley is known for military jet fly-overs, this installation probably keeps an eye out on them. 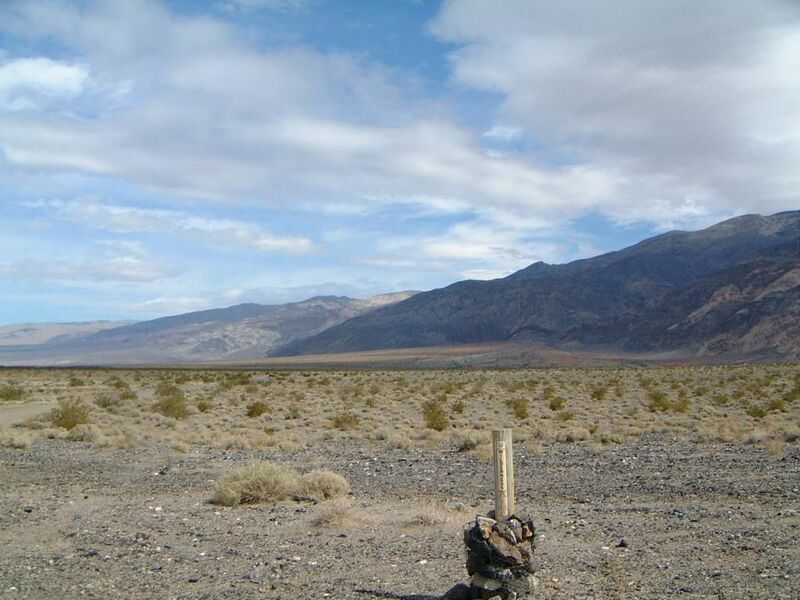 More than a few survey stakes found drying out on the valley floor. SE corner, visible from Indian Ranch road. 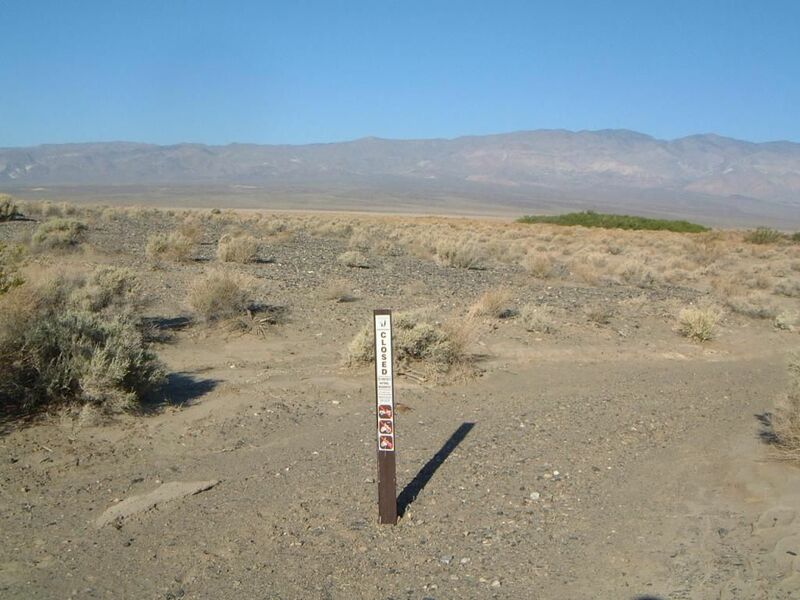 The NW marker took some doing. 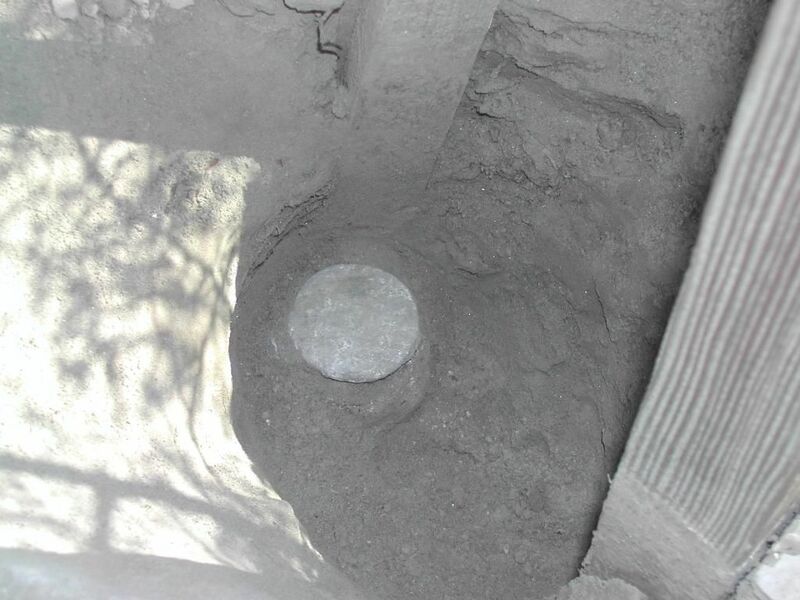 Silt had covered it up, but the marking post remained upright -- digging came next. 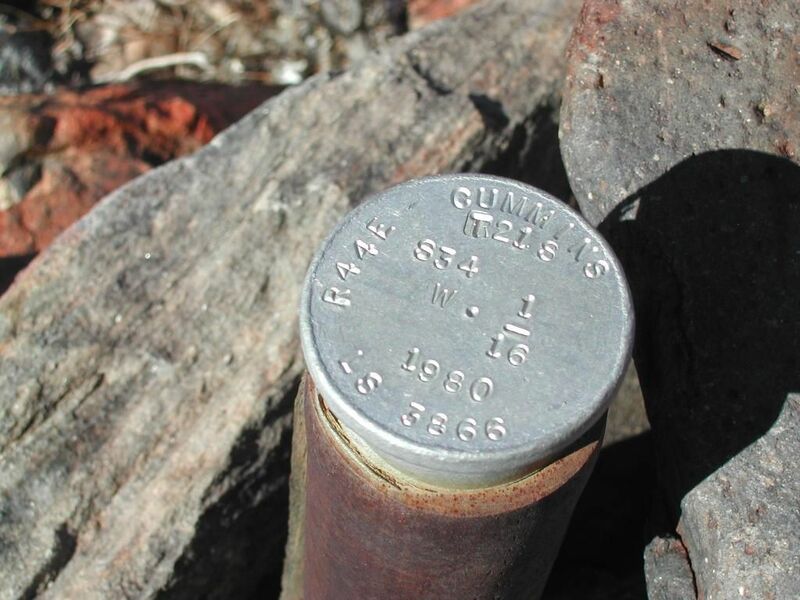 Minerals in the earth have slowly eaten away at the government issue cap. 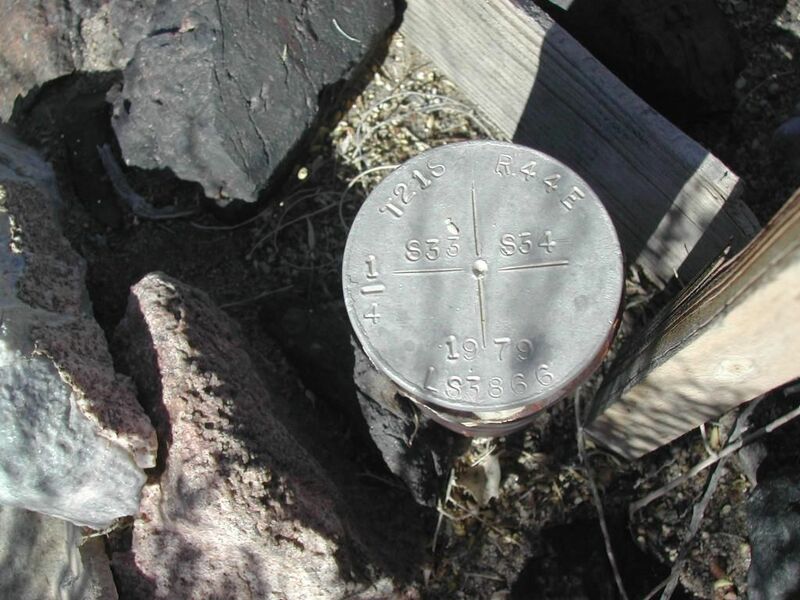 Recall that the hardest survey marker to find was the NE one. It was flush with the ground and hiding under a slab of quartz. Here's a close up of it, and the quartz was laid back on top. 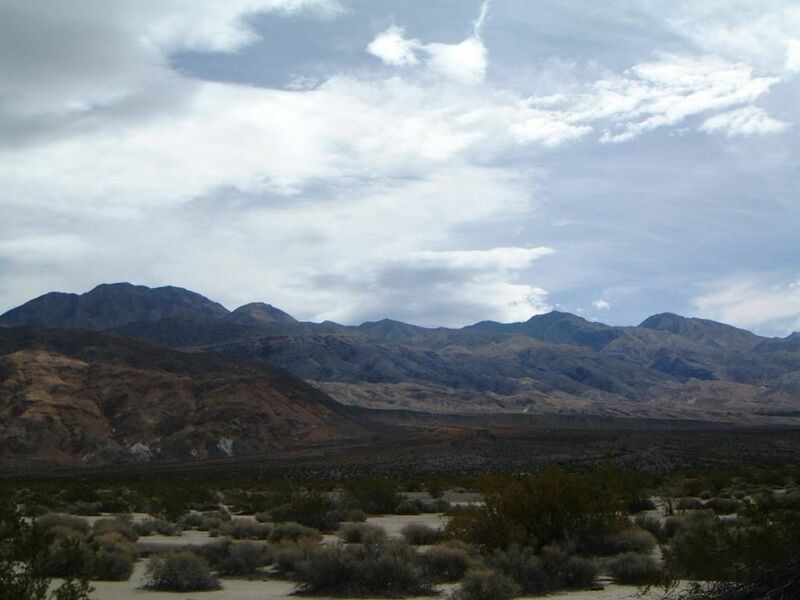 Walking around all day makes for hungry b-line to Panamint Springs Resort. I'm partial to their breakfast and Thanksgiving Day special. From the property it's about 30 minutes depending on road conditions. Width of the property is 1/4 mile, this photo was taken from the SE corner looking down at the Jimmy parked at the SW corner. 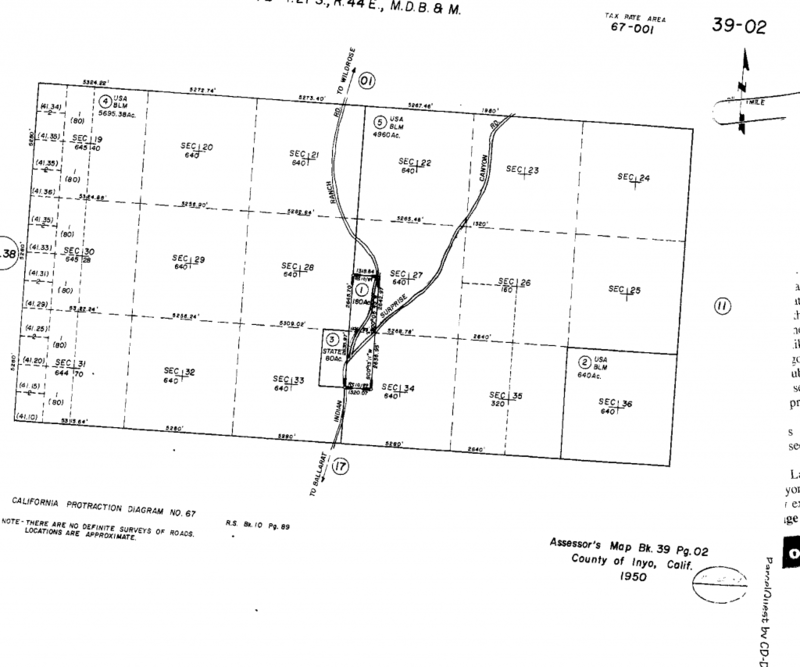 160 acres, plenty of space for you and your plans. 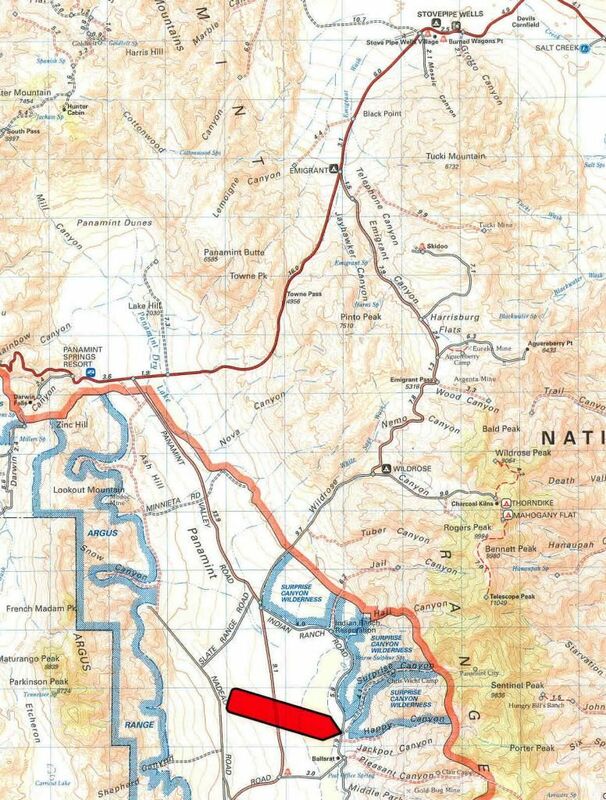 Official plat map of Inyo county. 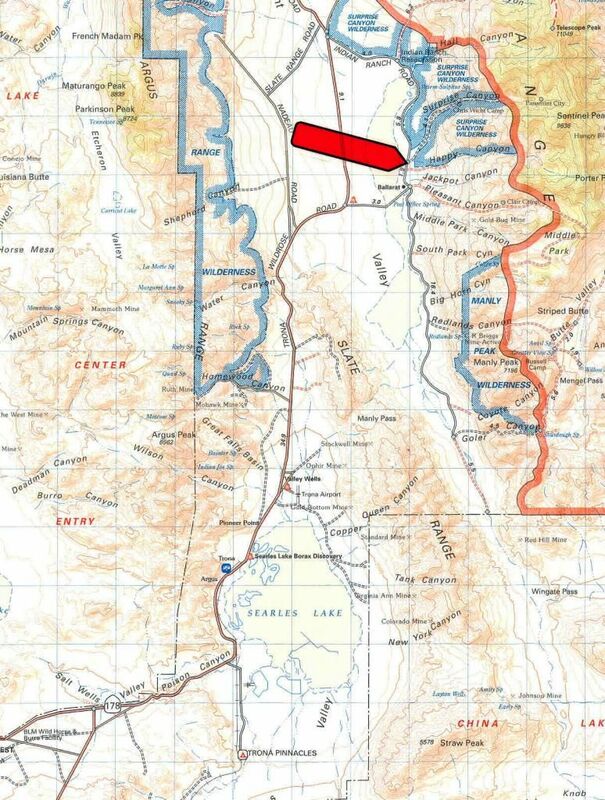 Fairly accurate but Surprise Canyon road now join up further north on the property. Quick lunch break in the rebuilt stage coach building. Maybe this was Tates Station as shown on the Sherman Town map. 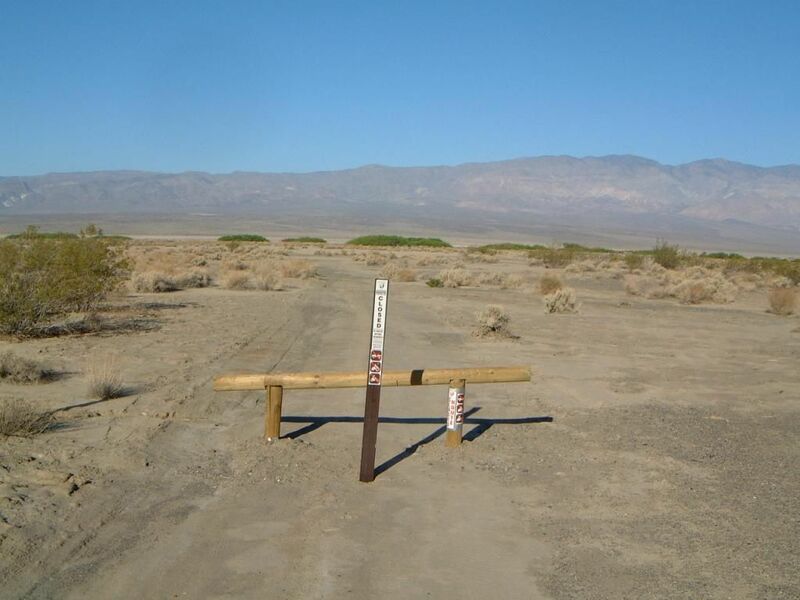 Sometime around 2009, we rolled into the era of road closures on our private land. How does something like this happen? The BLM combined with environmental activists created an unhealthy synergy. I read a lot, of particular interest to me is the Jeffery Pine Journal which is a local eastern sierra publication sponsored by the Friends of the Inyo and backed by the Sierra Club. Don't get me wrong, these agencies have value, but in their quest to control how others access the land they often overstep reasonable bounds. 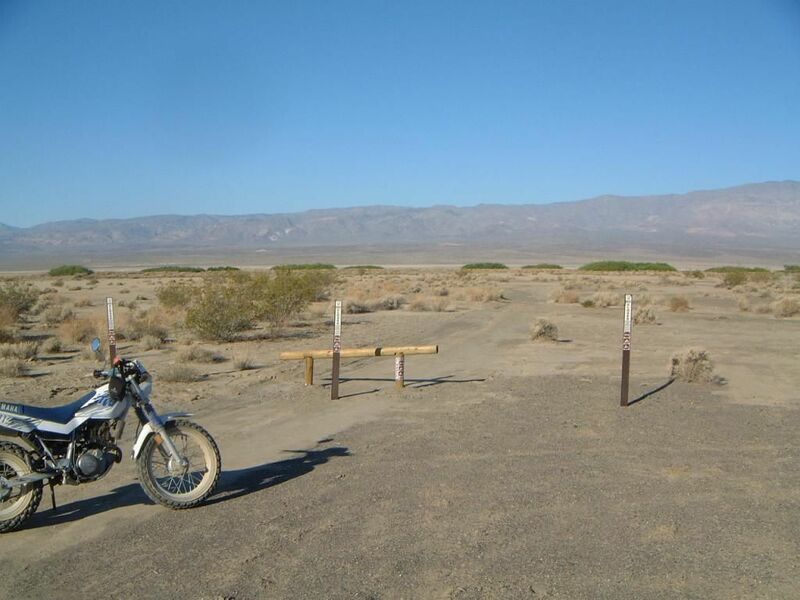 Anyhow in the Jefferey Pine Journal, one member has wrote a nice article on how his passion is closing routes to motorized in both the Panamint and Inyo mountain ranges. Pounding signs in the ground gives him meaning, etc. 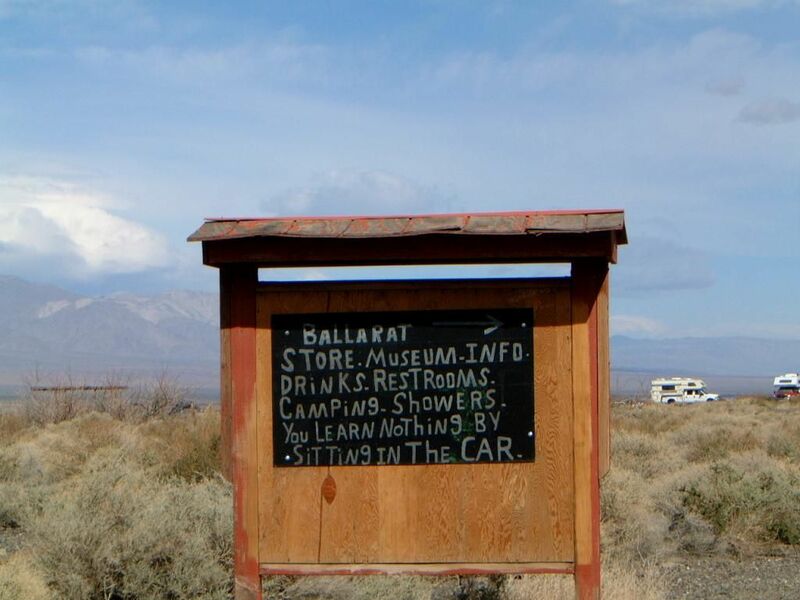 Next time we go camping, lo and behold, you might think they opened a sign factory in Ballarat. Big signs, small signs, and barricades - all sorts of messages too! 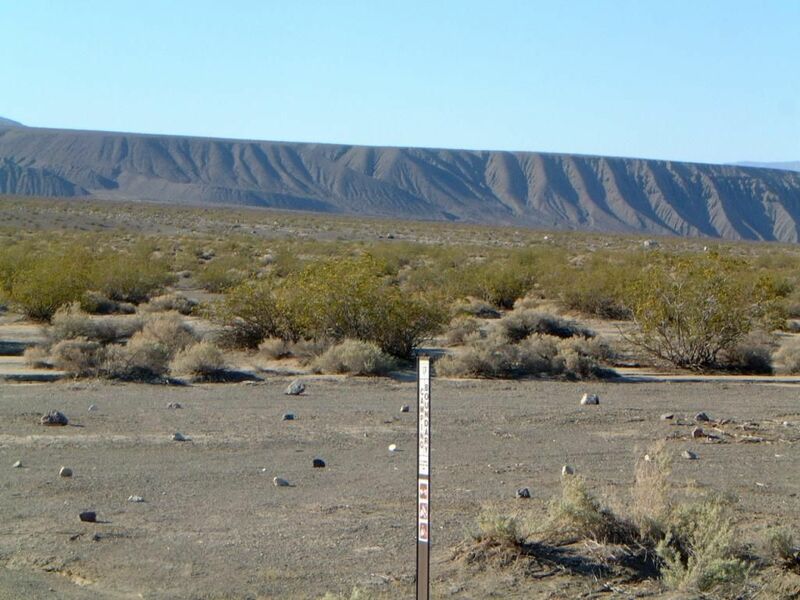 BLM promised to remove the signs and they did (except the wilderness ones), but not without first letting me know that our property might be more valuable if we kept them in place. Overall they wasted a lot of time and money - that was our experience versus an opinion. 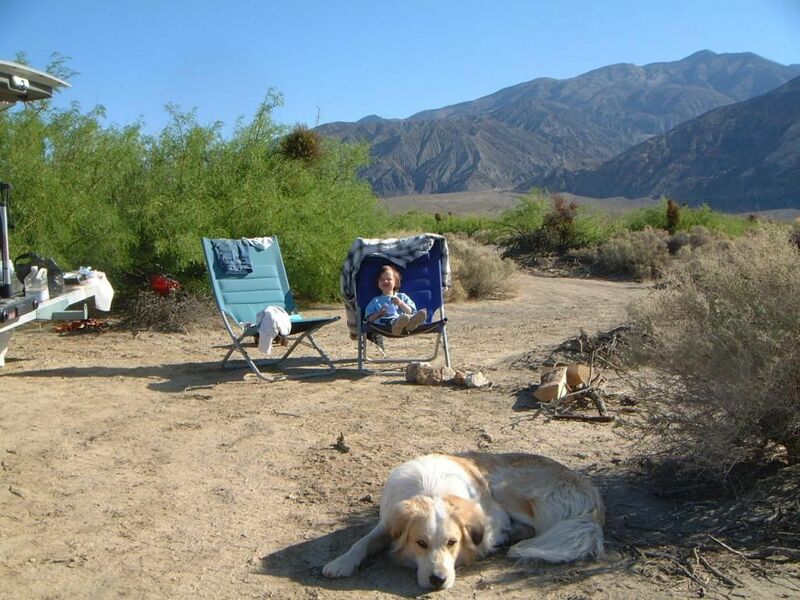 The BLM and "volunteers" picked this nice spot on our land for the "official" camping spot. 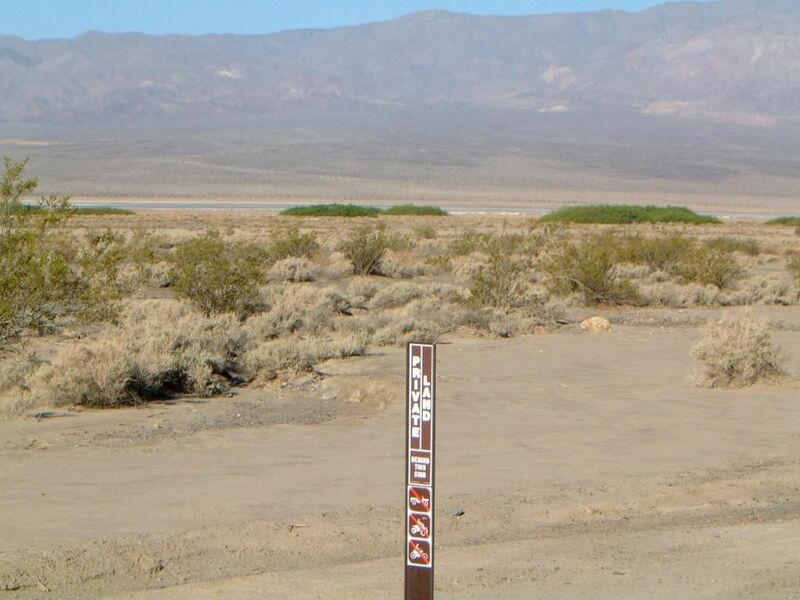 It's plenty wide for your trailers and toys, but don't leave the perimeter. 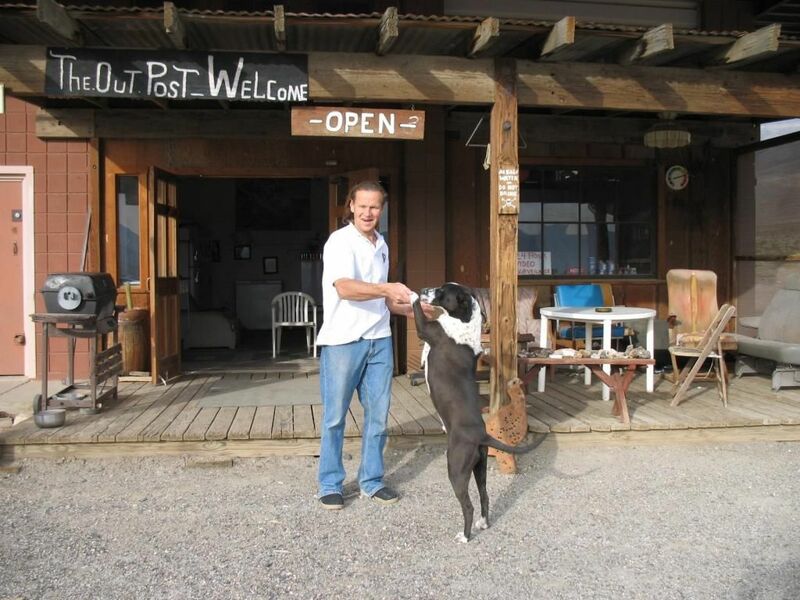 Every single access point off Indian Ranch road onto our property had a sign or blockade. 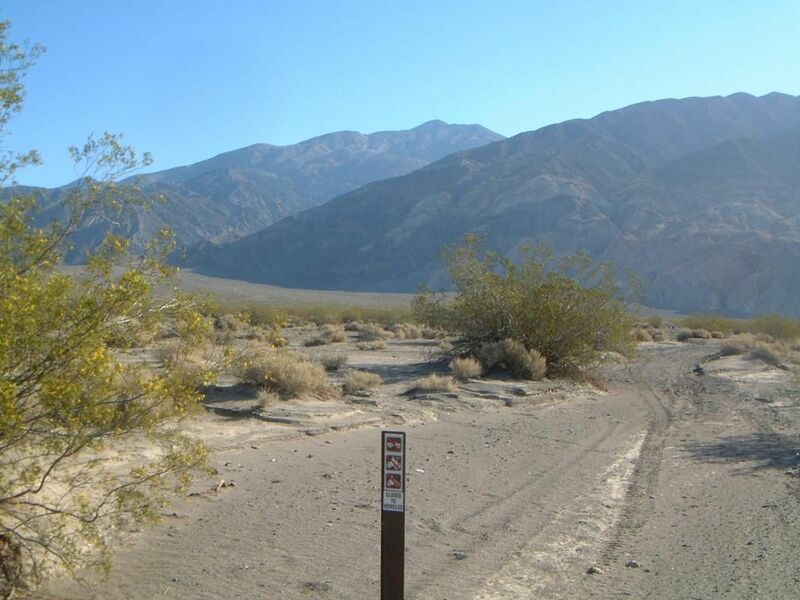 Sorry, you are not allowed to drive up to the old stagecoach stop anymore. Don't complain, it's only 1/2 mile hike. 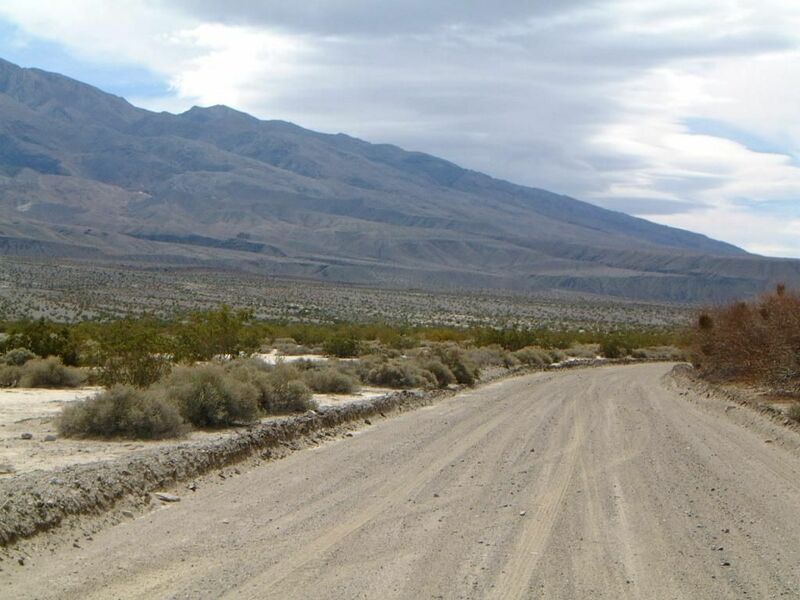 BLM and Friends Consolation prize: we designated this road for 4-wheeling, the old historic road to Panamint City. 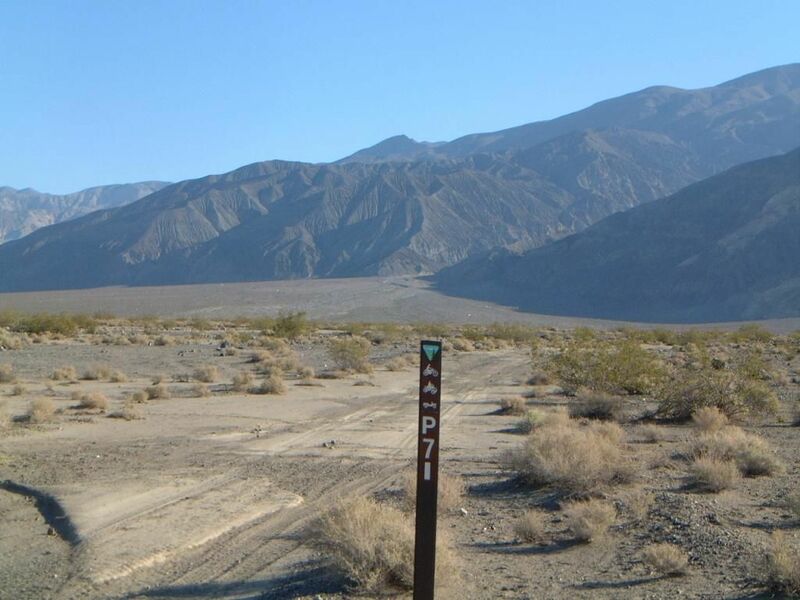 Hope you like it, because we're routing a substantial amount of OHV traffic all over your property. Wonder if the TW200 can squeeze through this roadblock? Who dreams this up? By the way, the TW200 is a good camp bike that does it all but none of it well. Underpowered with little suspension and balloon tires, it needs no green sticker because it is street legal. Private land behind this sign? That is a true statement - also, in front and flanking on both sides. 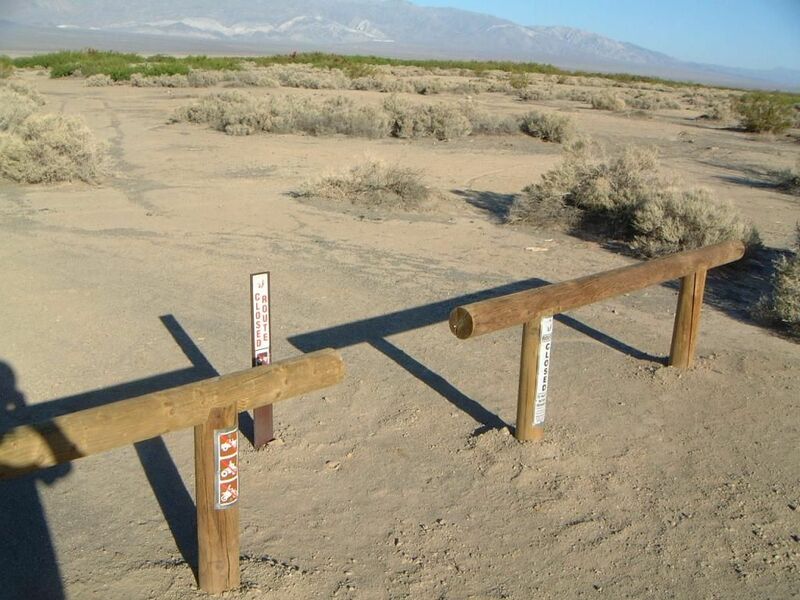 The sign was placed so people wouldn't drive over to the old stagecoach ruins, which are on state lands. I guess they are off limits now, but wait, with a few clicks on the keyboard they are officially re-open to the public... everyone has our permission to cross our property and visit them. No joke. Another access point bites the dust. Getting serious here, hope the volunteer crew enjoyed digging those holes. OK, I admit this is a whole lot of smack talking going on. Seeing these photos brings back the memories even though the blockades are gone. 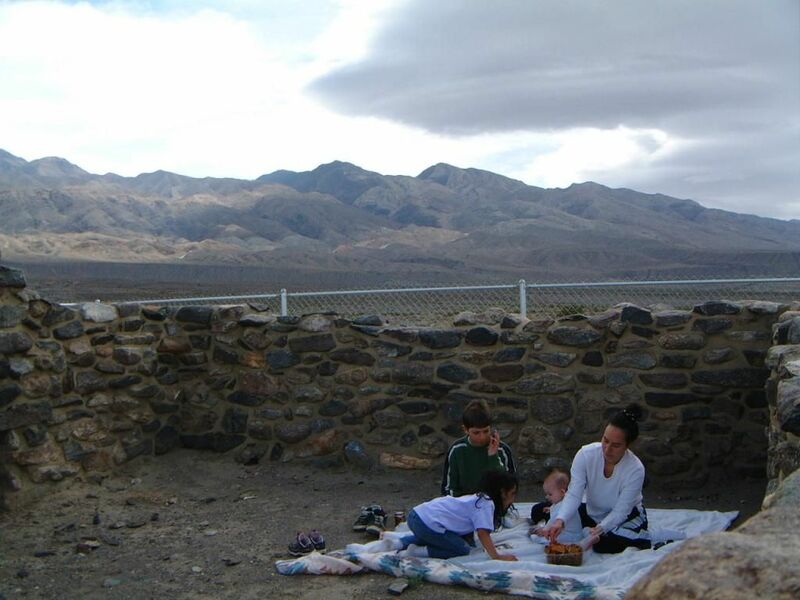 The problem is that people camping in Panamint Valley have been rousted by LEO ever since DV park expanded in 1994. All this rubbish puts us at risk to any over zealous LEO. We are out to camp and enjoy our property, not interested in confrontation. 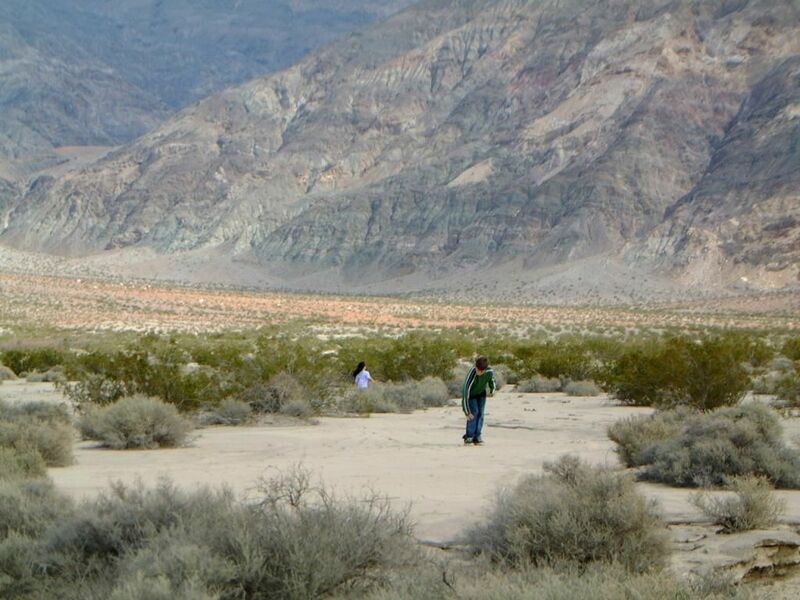 Also back home we live with a plethora of land managers and BLM actually makes the best neighbor when compared to the Forest Service, Park Service, and Los Angeles Water and Power. 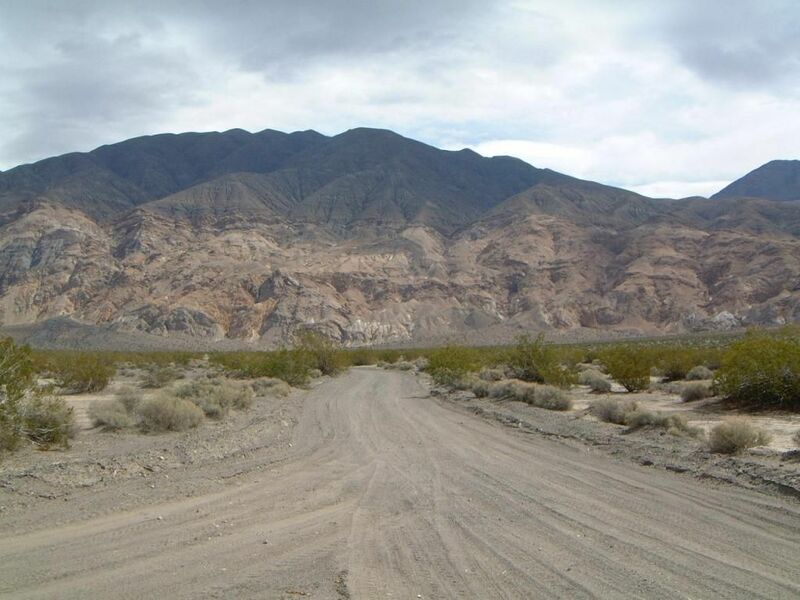 In Panamint Valley BLM rules the roost, which may be why they like to flex their muscle a bit more and take on unpopular projects, but at the same time it is helpful to know that they still allow multiple uses like OHV, mining, adopt-a-cabins, desert racing, dual sport events, hunting, dispersed camping, rock crawling, rock collecting, etc. Perhaps that is why they receive a lot of pressure from green organizations to get out there and close stuff down. In the end you can't make everyone happy. Daylight was growing dim, and we felt like trespassers on our own property. I could only imagine a run-in with BLM LEO, so we rolled over a carsonite sign and hid deep among the mesquite trees. 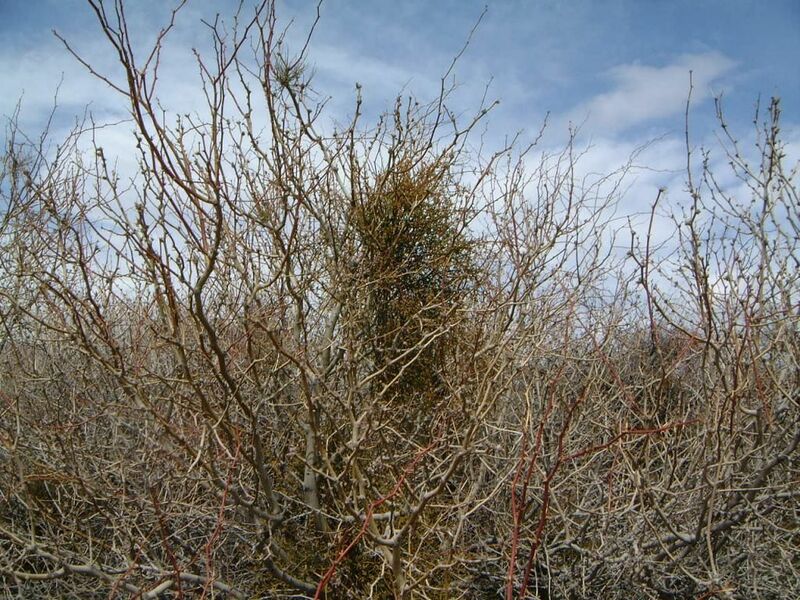 Plenty of bean pods and complementary wilderness post in tree. Hiding in the trees while the sun sets on Surprise Canyon. Next morning up early to drive up Surprise to the Chris Wicht camp and past homestead of George Novak. George had the opportunity to homestead this land (similar to ours) years back for a pittance. It was so cheap he passed on doing so, never realizing how time moves on and situations change. 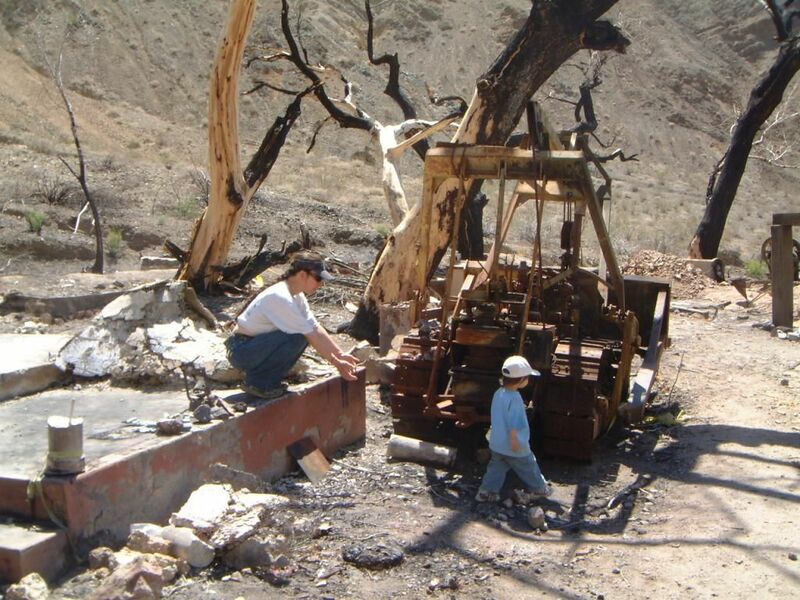 Now everyone and their brother come to Surprise Canyon and don't like him living off public land as a small miner. Next thing you know the whole place catches on fire. RIP George, wish our government treated you better towards the end. The fire left a lot of junk behind. 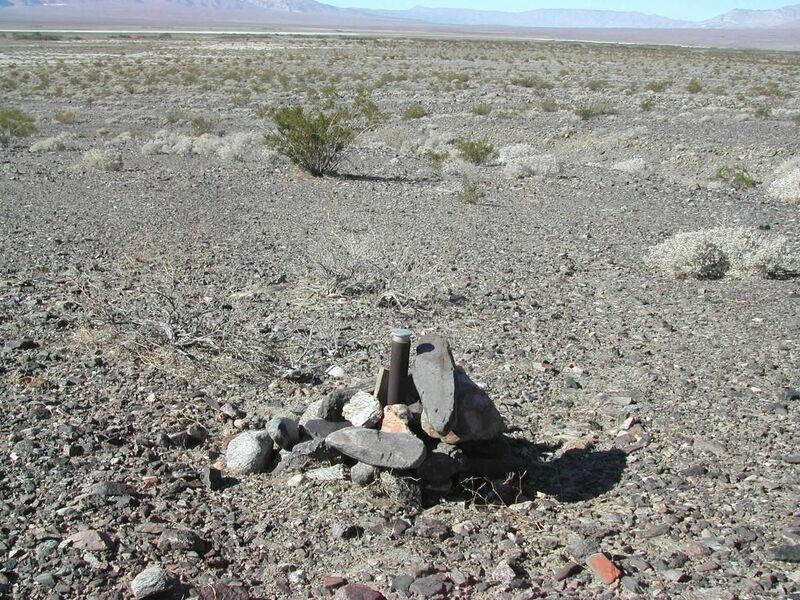 BLM coordinated a clean-up effort to the tune of many tons. 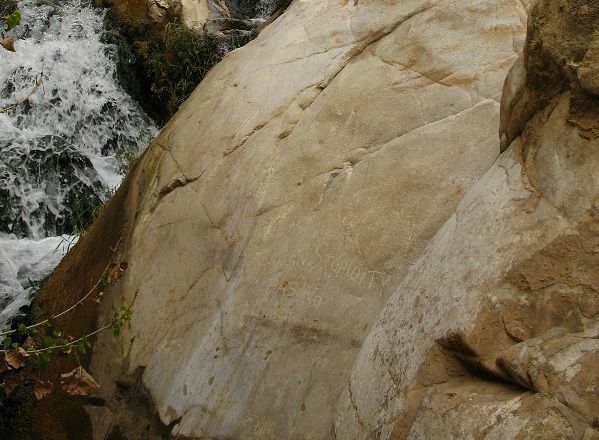 Falls are cool and refreshing. 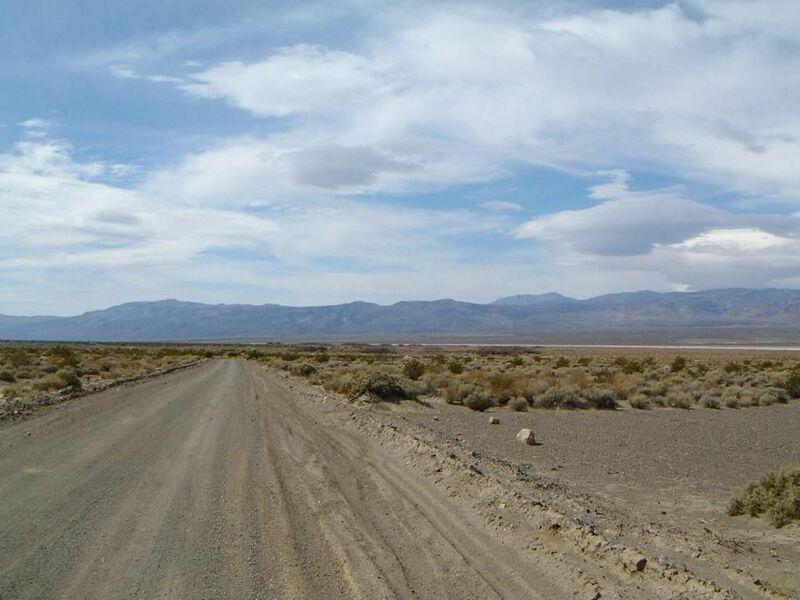 The trail continues on to Panamint City. 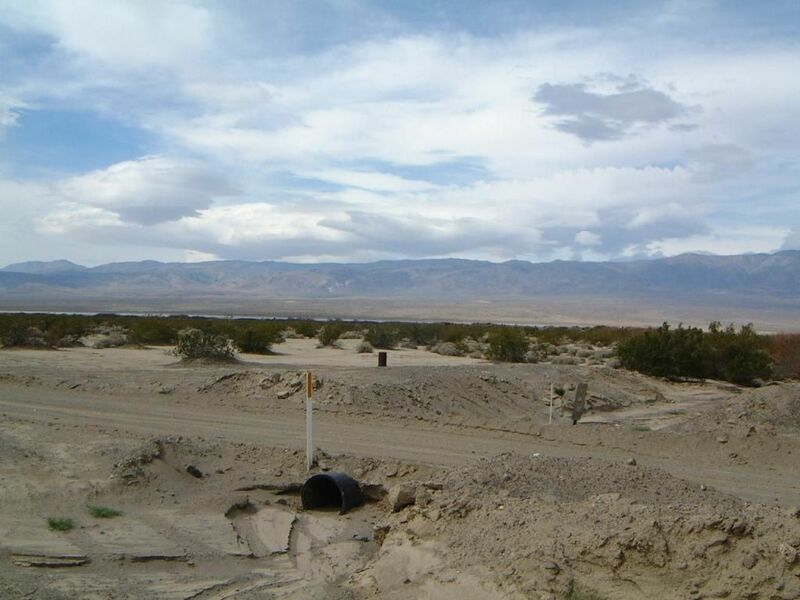 Shermantown was planned to be a major supply town to Panamint City. As history shows, some things don't turn out as planned. Different trip, scenery remains the same. This map shows no overlay, it's not as accurate. Same map just showing southern portions. Zoomed out California map to help the geographically challenged get their bearings. http://www.qcode.us/codes/inyocounty/ After clicking that link go to "Title 18 ZONING", then three chapters down to "Chapter 18.12 OS (OPEN SPACE) ZONE". Yes, it's a lot of clicking but I can't link to it directly for whatever reason. 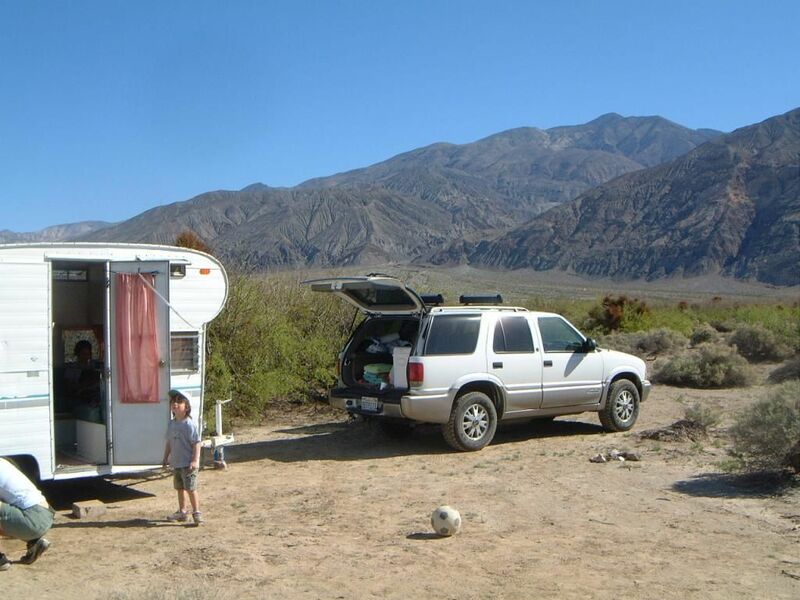 Camping and hiking, as it is a great base camp for exploring, either with motors or without. 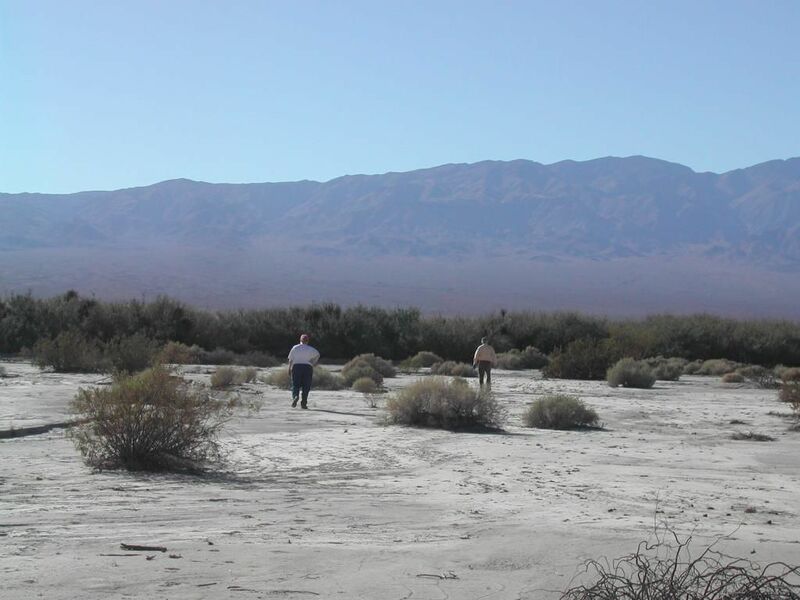 Bank the land for a future project or trade. Develop a resort, have one side access friendly and one side access unfriendly. See which side has the most fun and join their party. 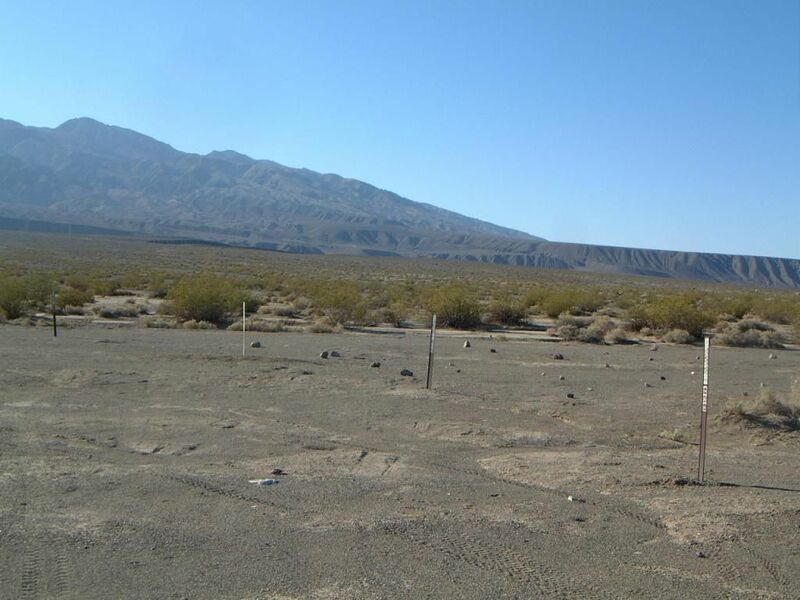 Main reason for selling is we are looking for a little income to offset a current project, have more construction planned, and have our eyes on another parcel down the highway from us near Independence, CA. And, as the kids get better at snowboarding our travel costs soar, not easy to be thrifty -- and that's coming from a cheapskate. Questions, comments, trades, and offers welcome! Below Rocky dances with he who licks pots. Photo credit Dan Dennis, Crowley Lake. RIP Dan. A message from the late George Novak and Albert Einstein. "Human Stupidity Has No Limits. 1997" Again, photo credit to Dan Dennis.